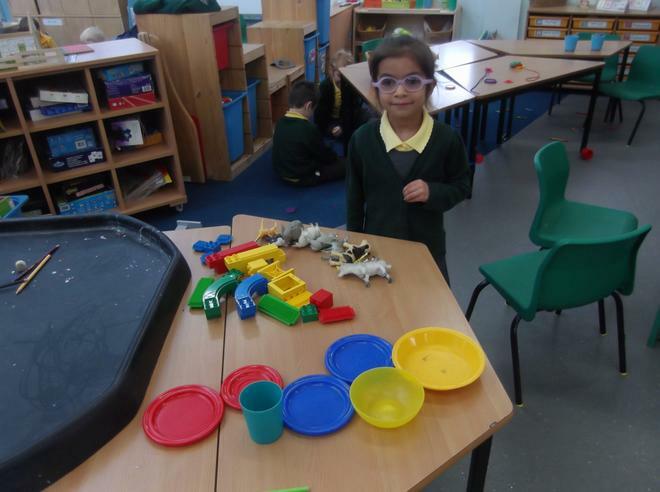 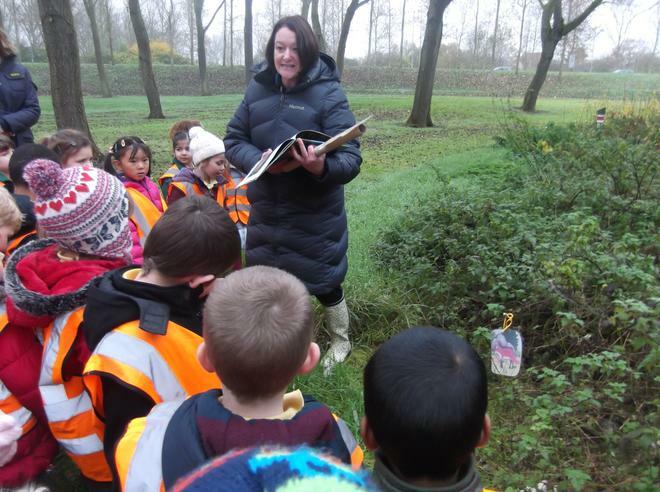 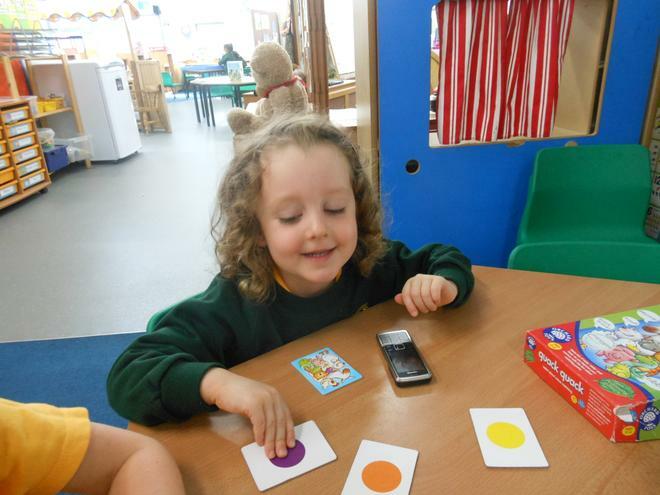 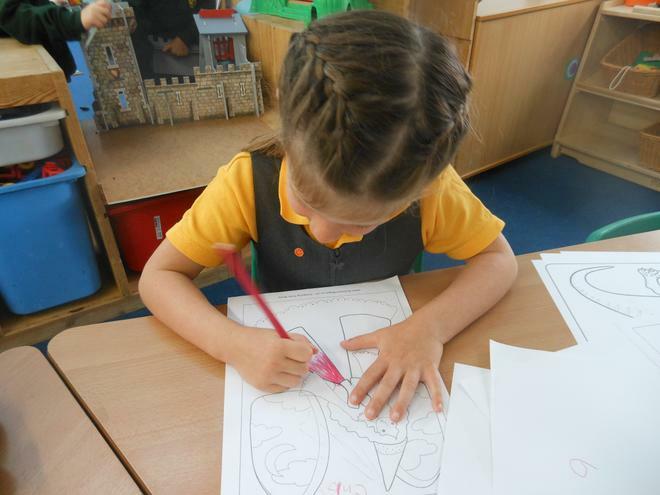 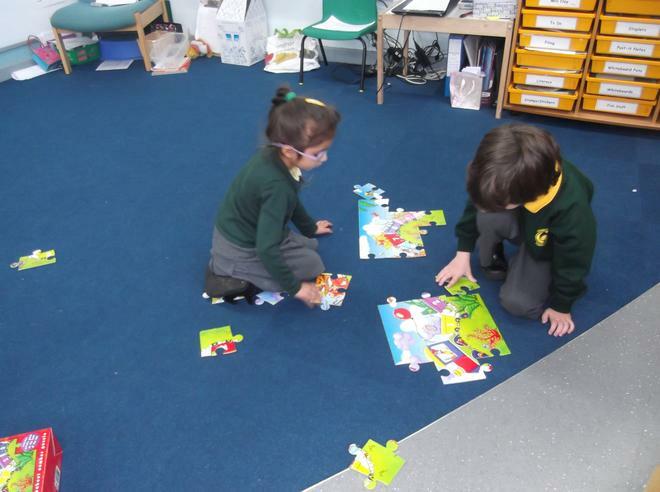 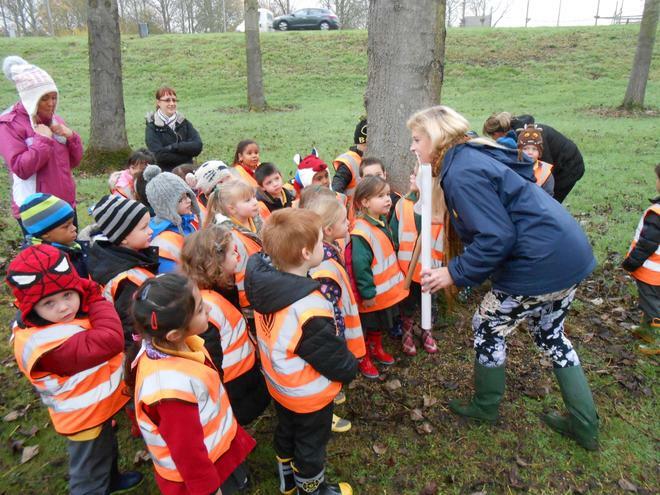 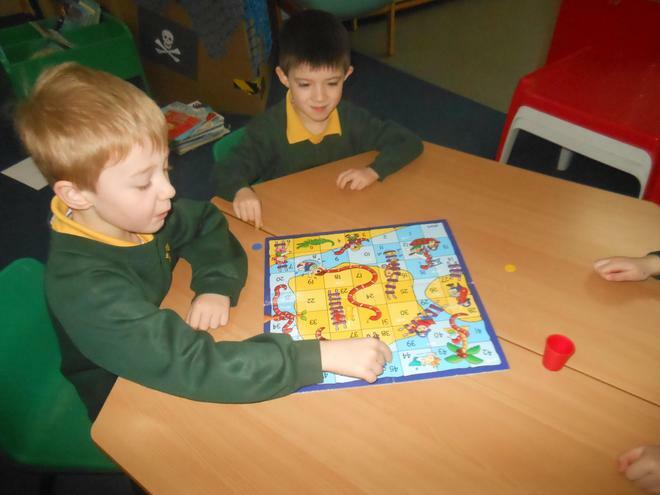 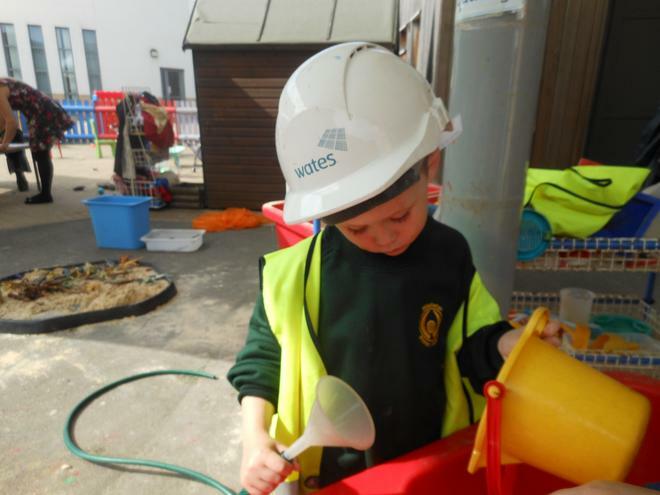 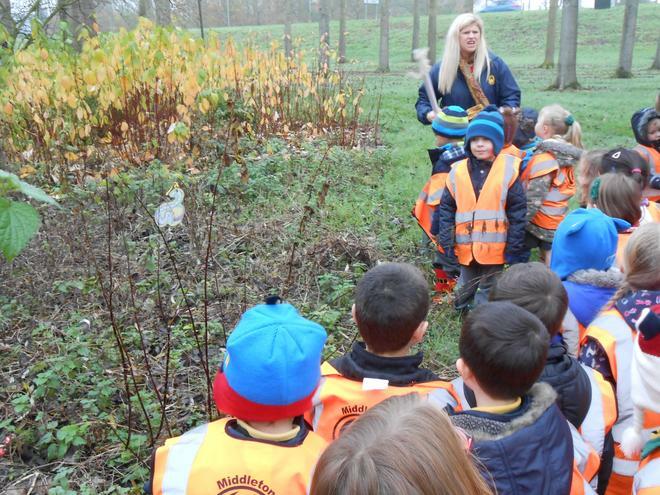 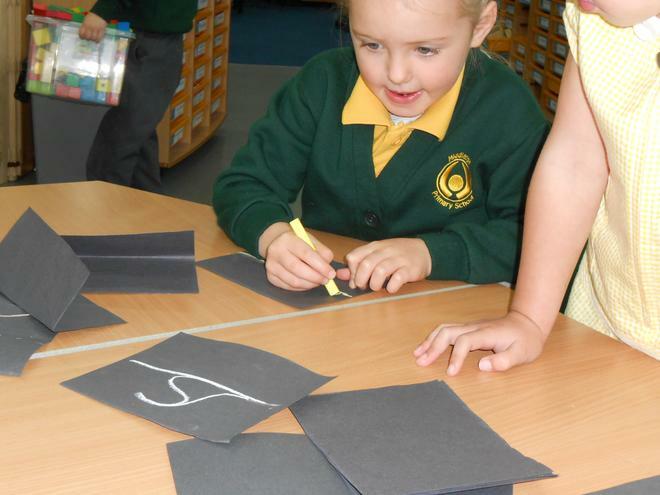 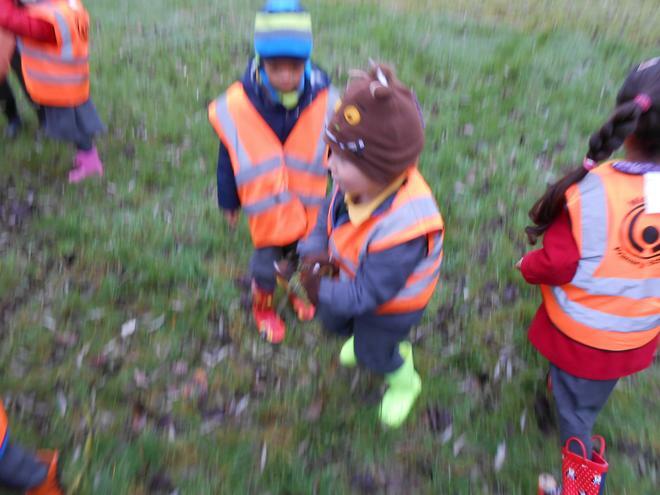 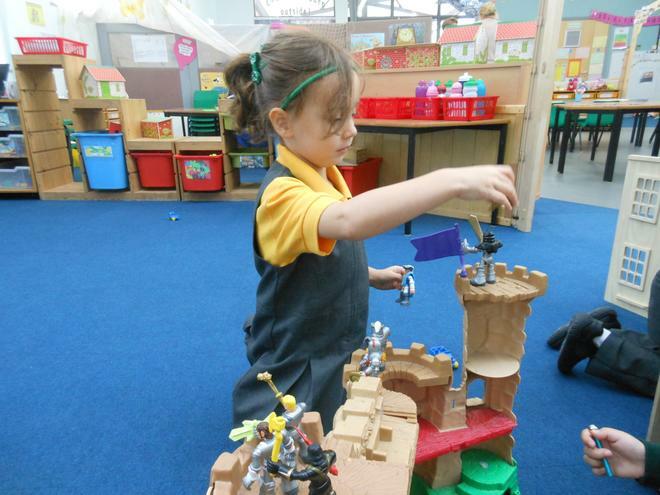 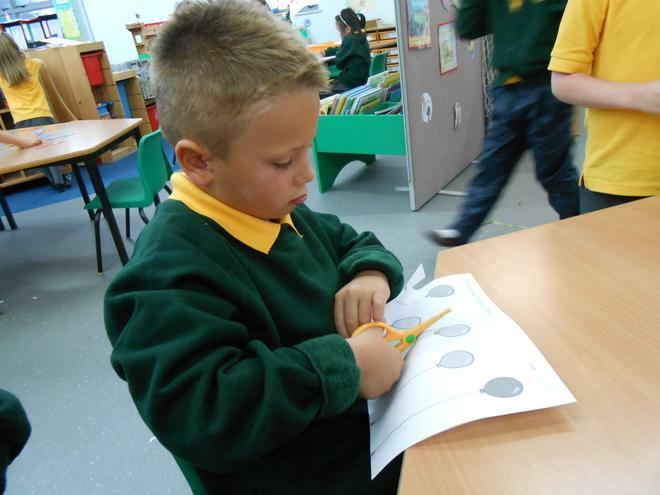 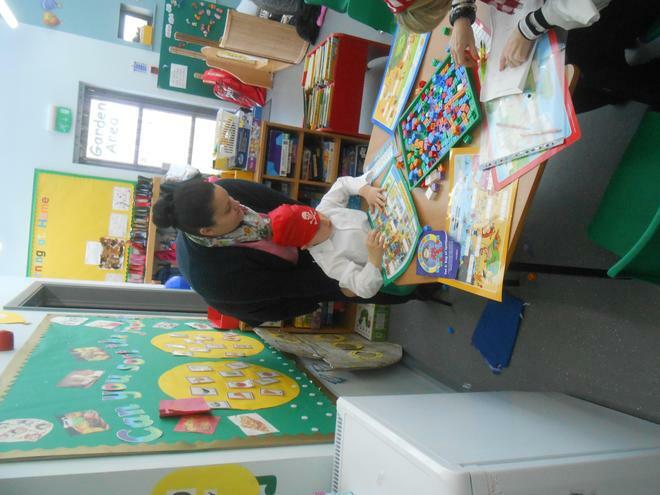 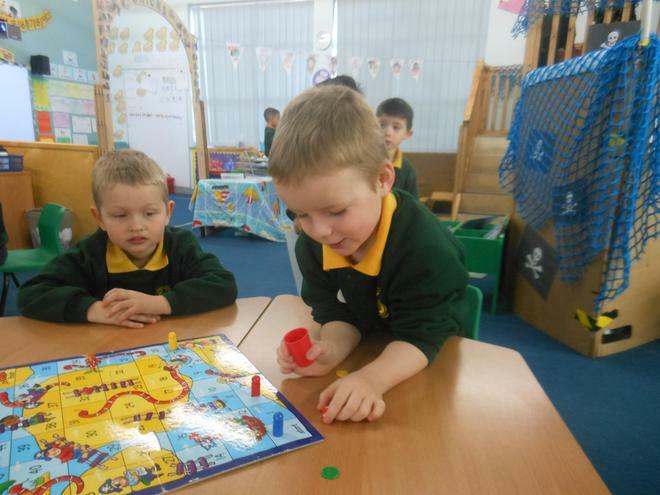 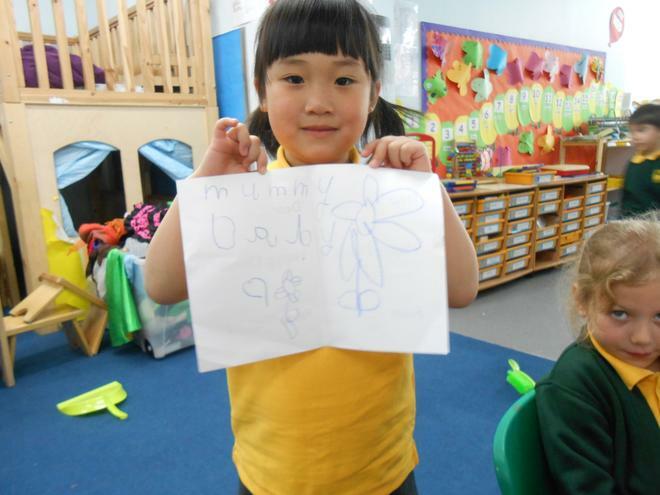 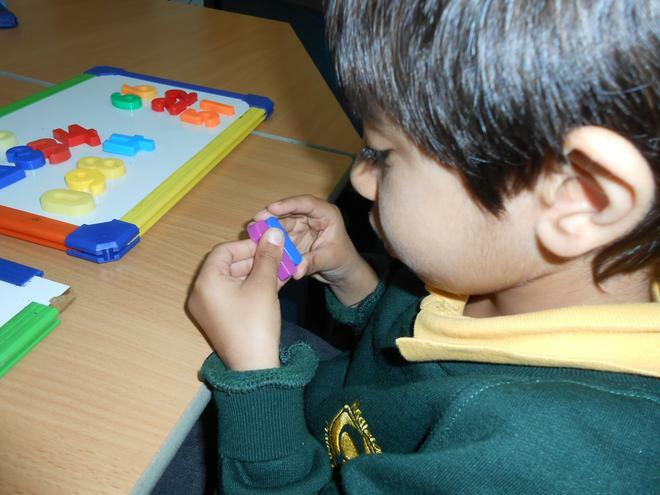 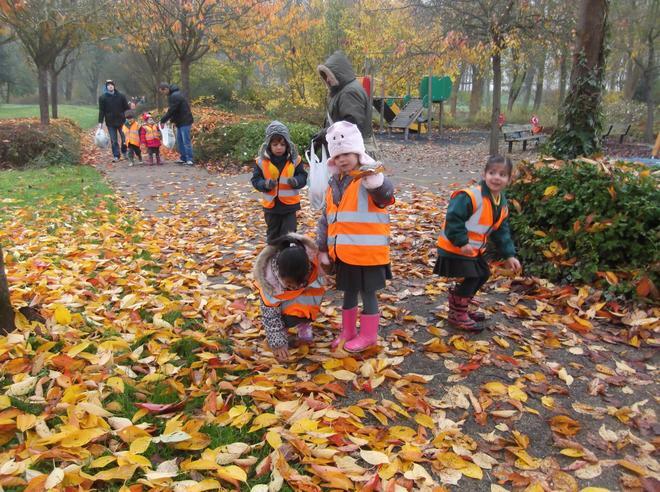 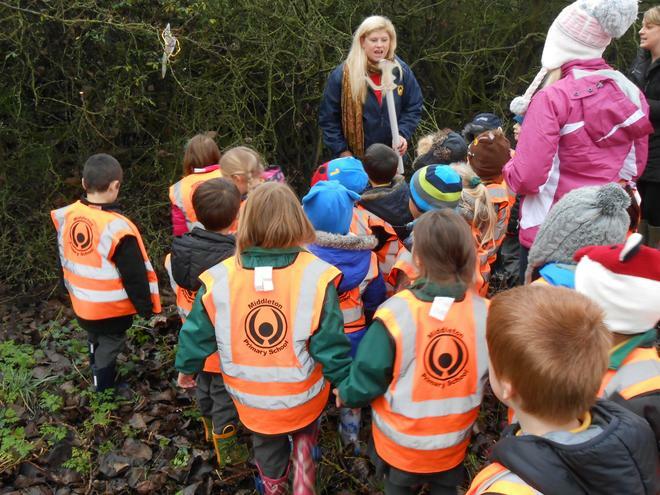 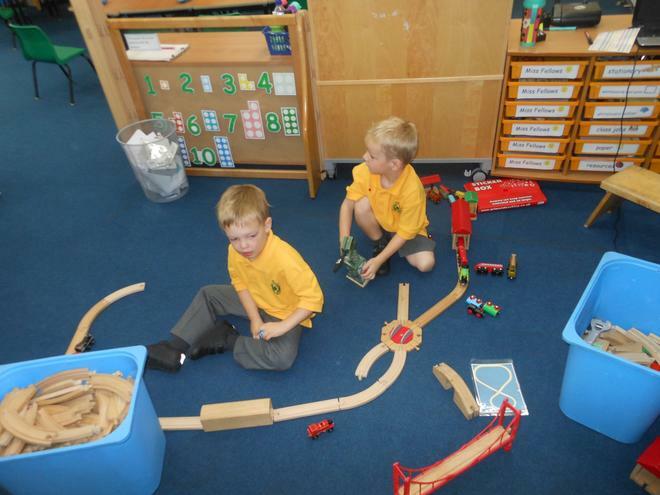 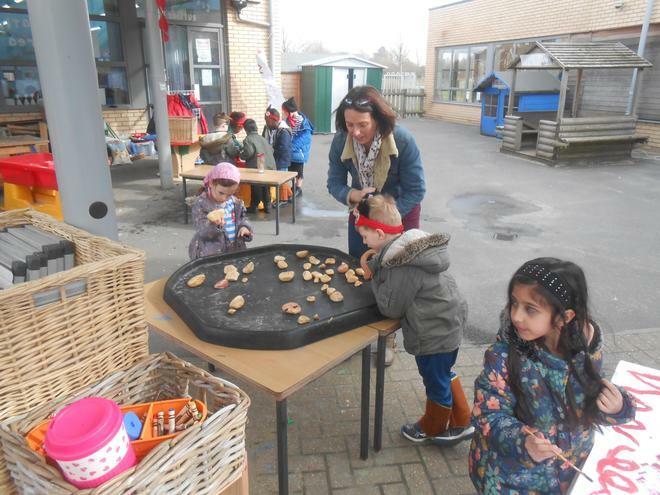 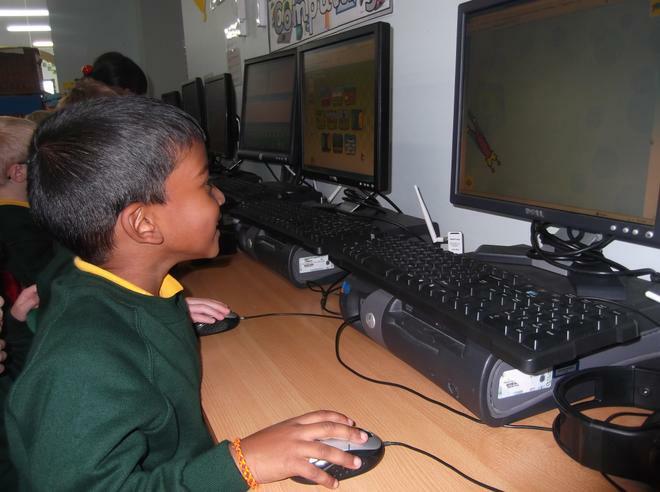 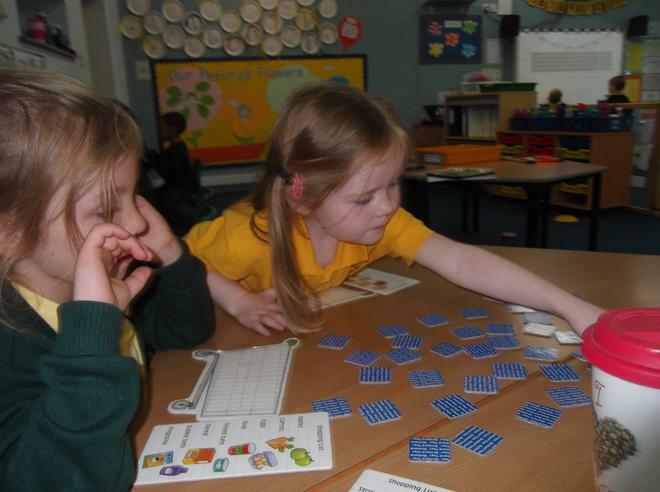 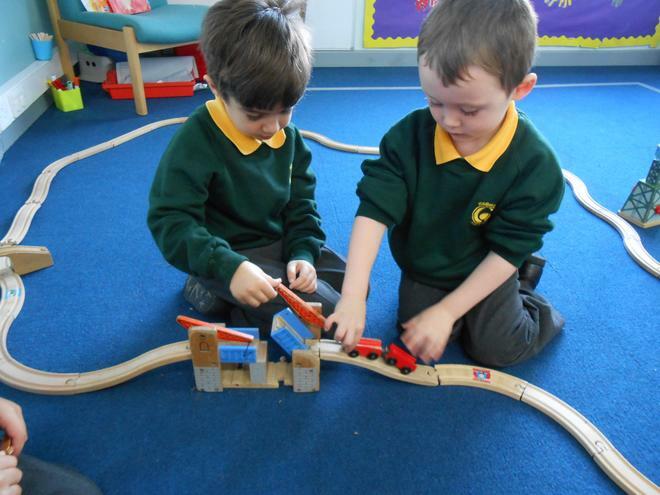 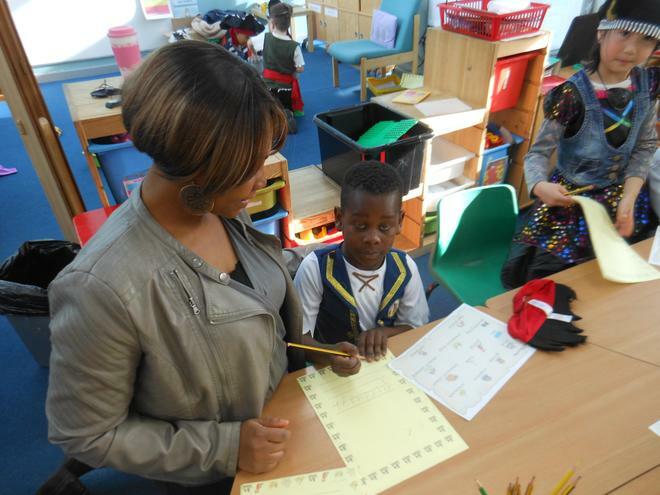 The children are encouraged to be responsible for their own learning, helping to plan activities that they would like to do. 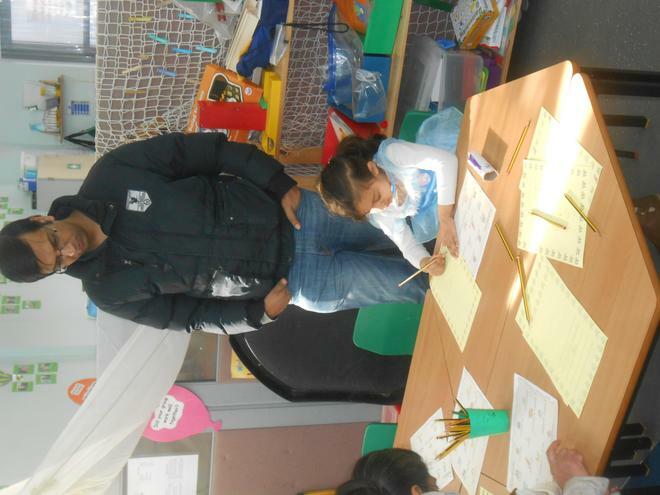 Our children have the opportunity to learn in a safe, secure, friendly environment that they are encouraged to take pride in. 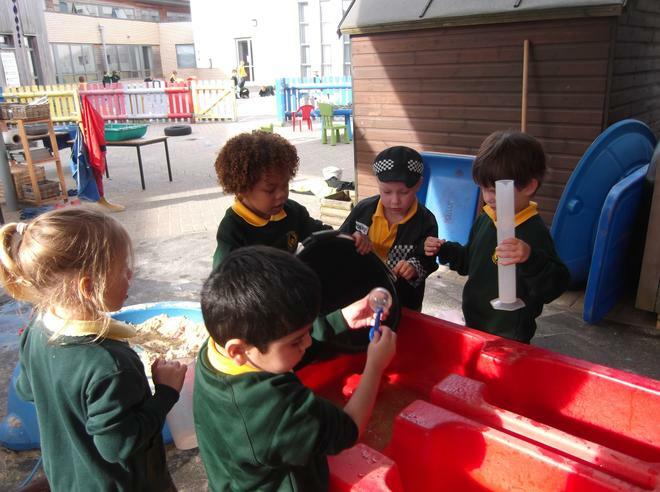 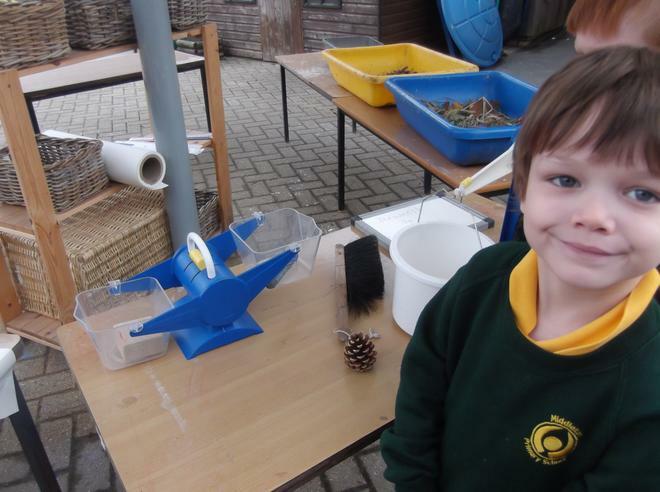 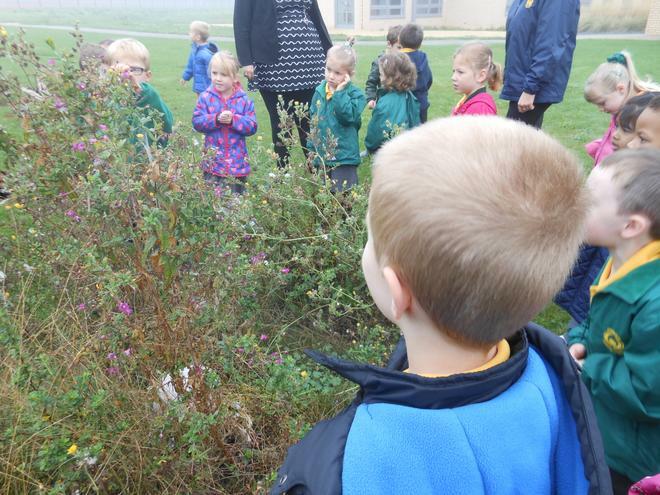 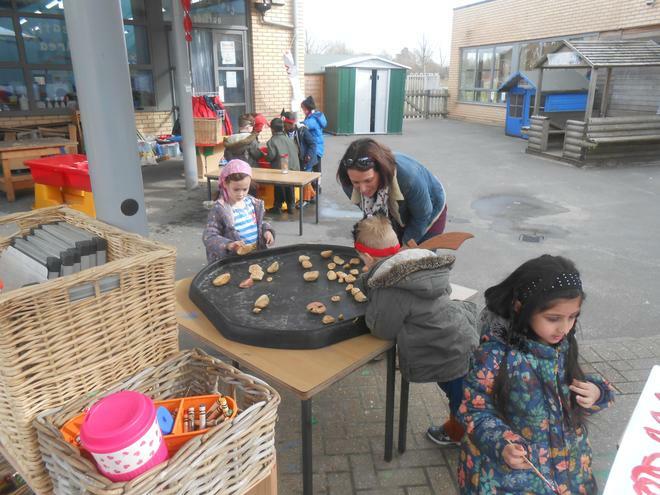 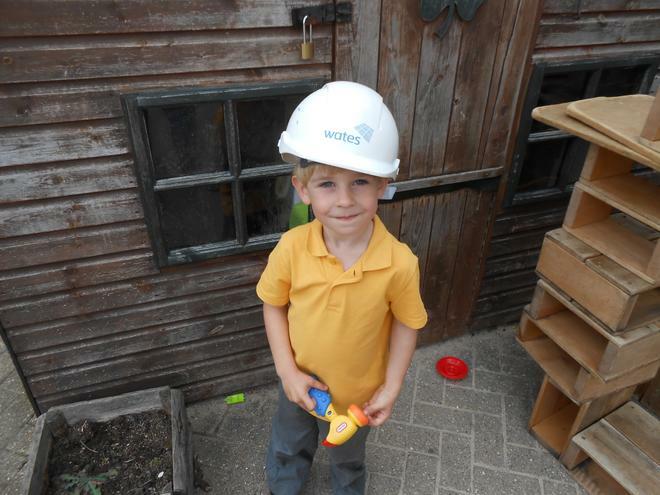 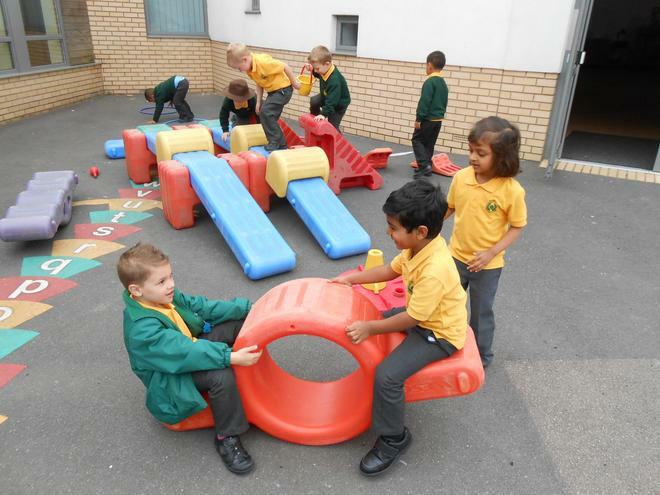 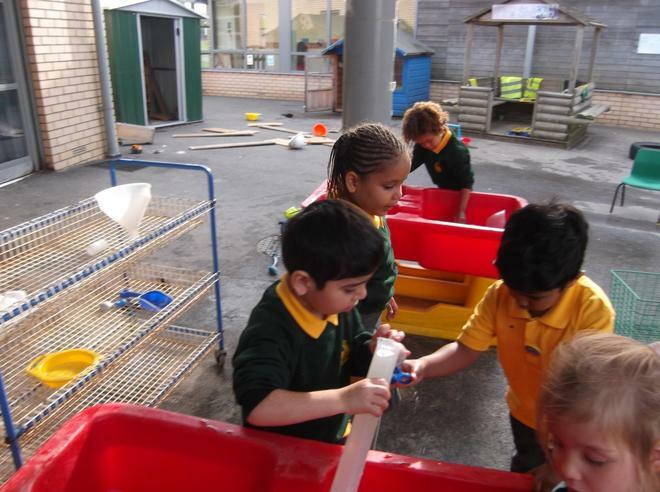 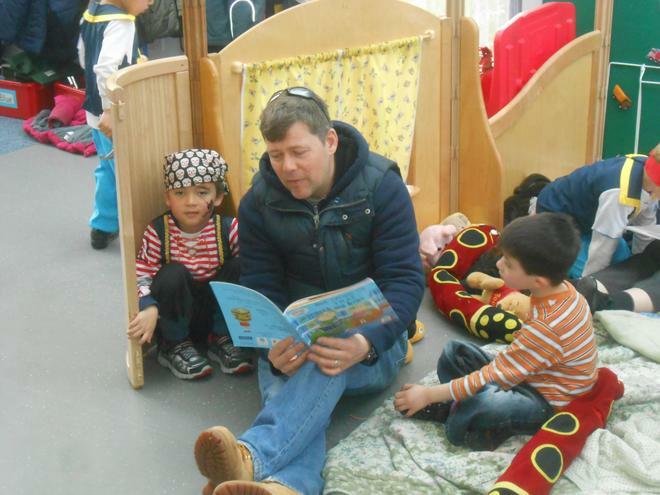 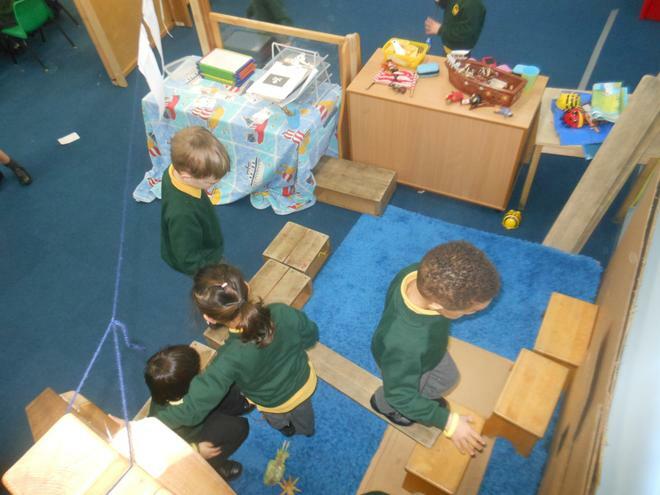 We have a large indoor and outdoor area, which the children have constant access to. 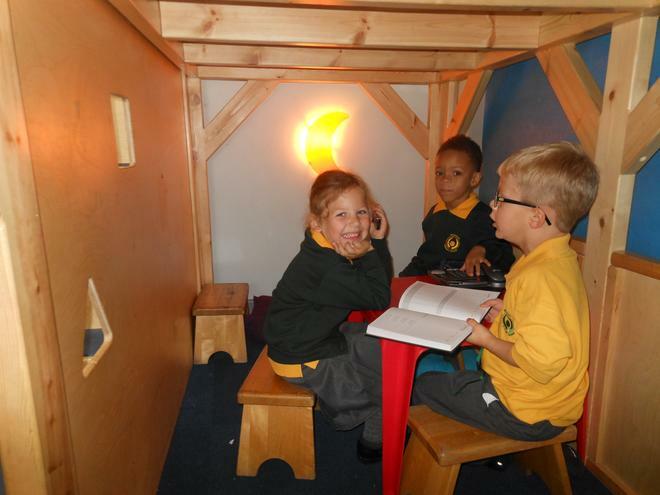 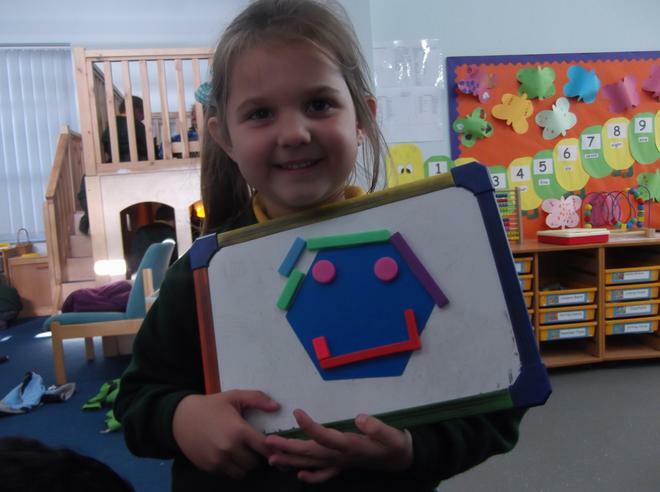 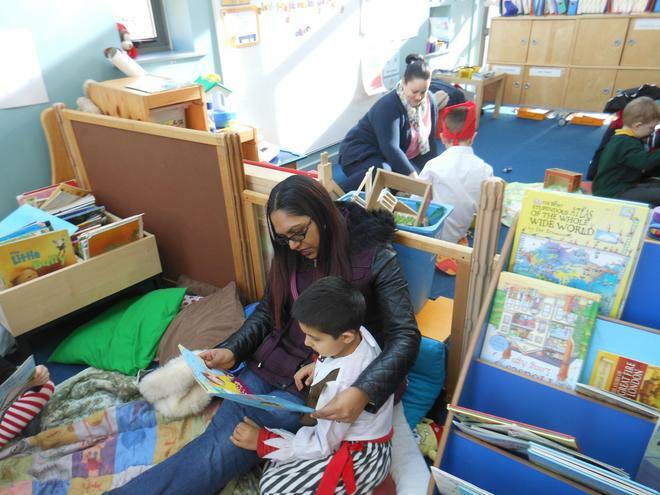 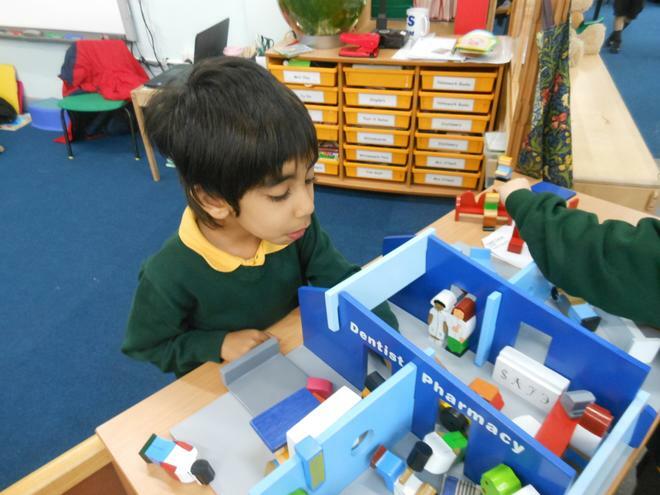 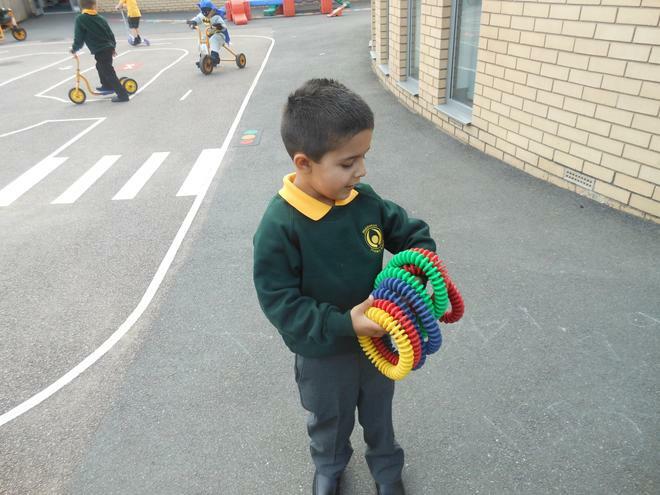 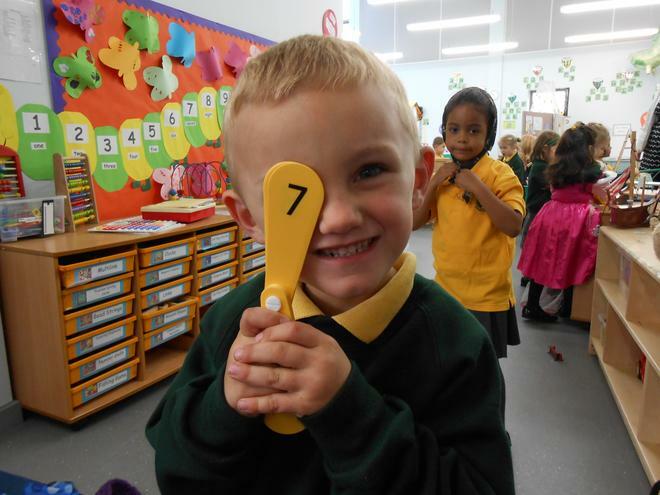 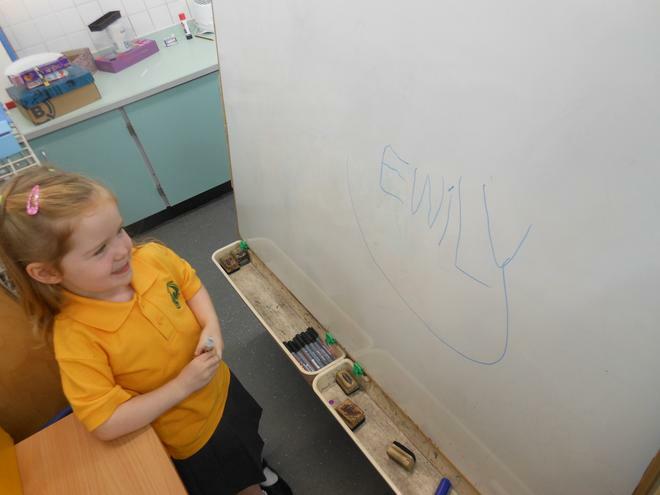 We hope that when children leave the Foundation Stage to move to Year One, they are confident, happy individuals, who have the necessary skills to access all areas of learning. 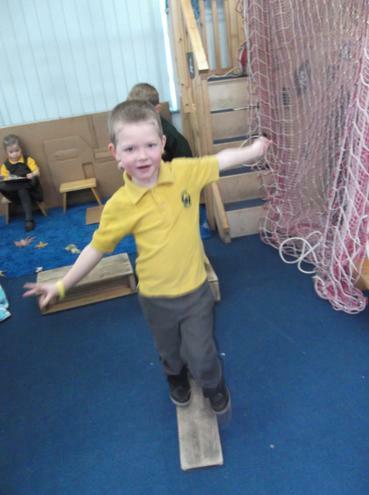 What an exciting week it has been in Foundation. 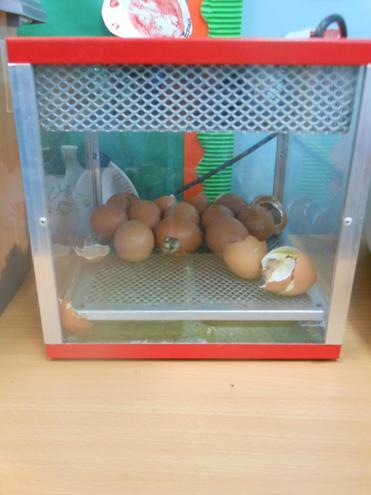 We have had 24 eggs delivered and kept in an incubator. 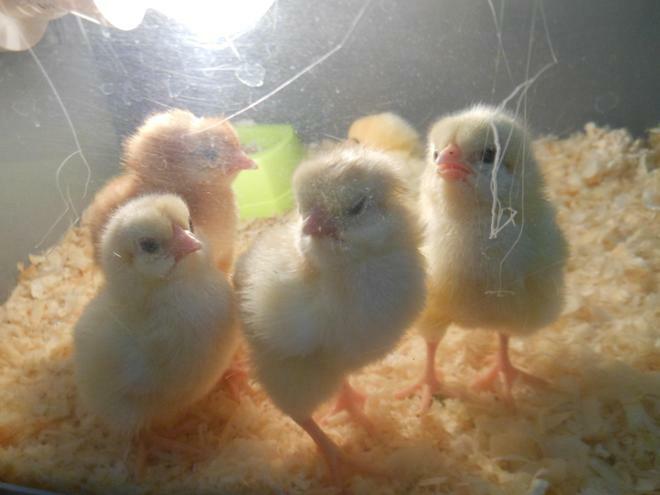 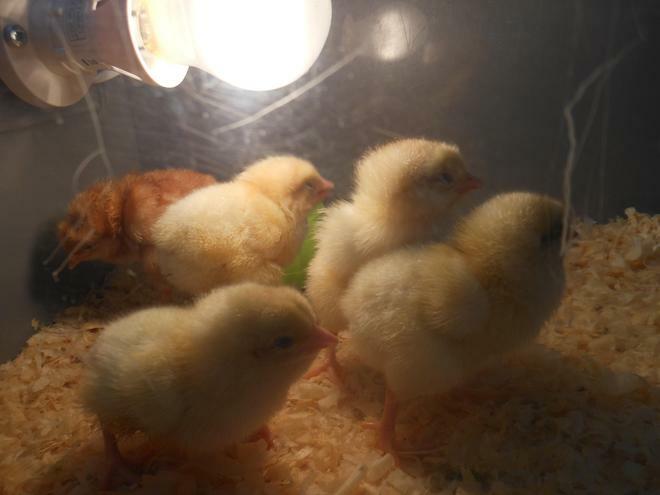 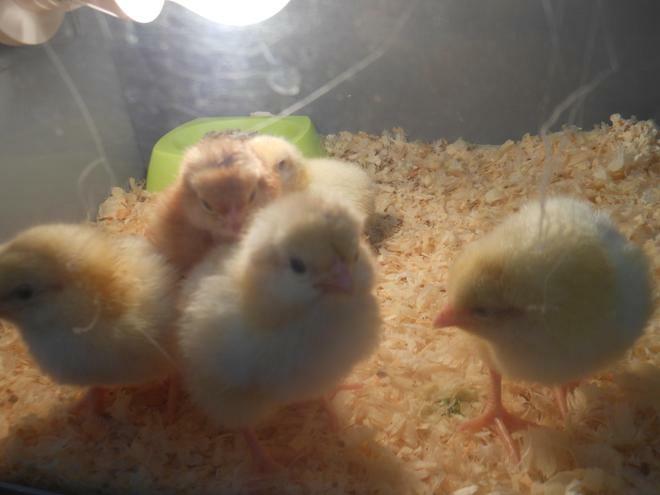 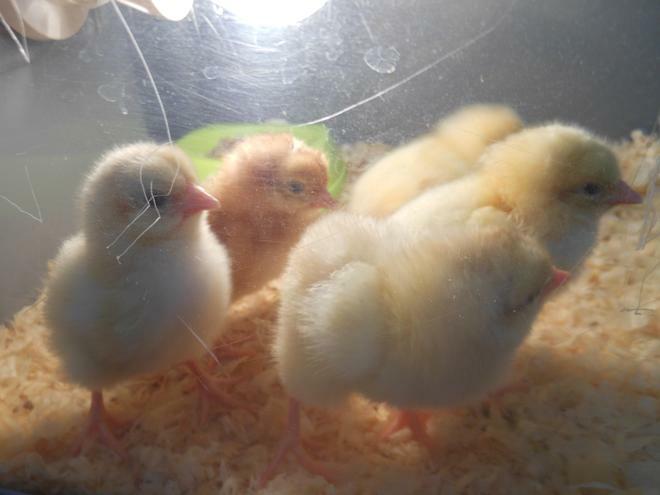 Over the last few days they have been hatching! 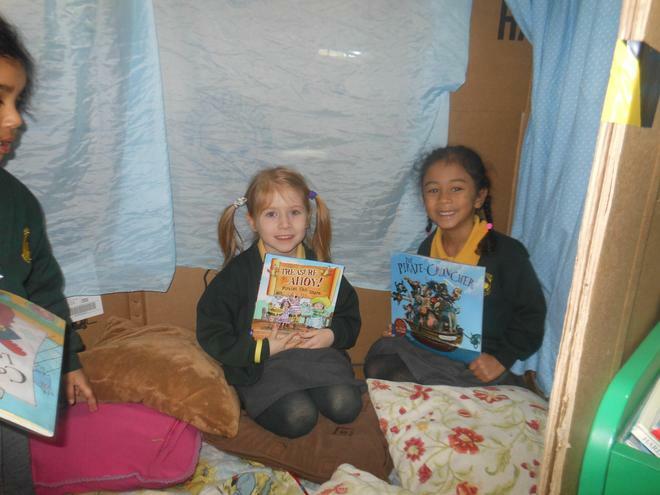 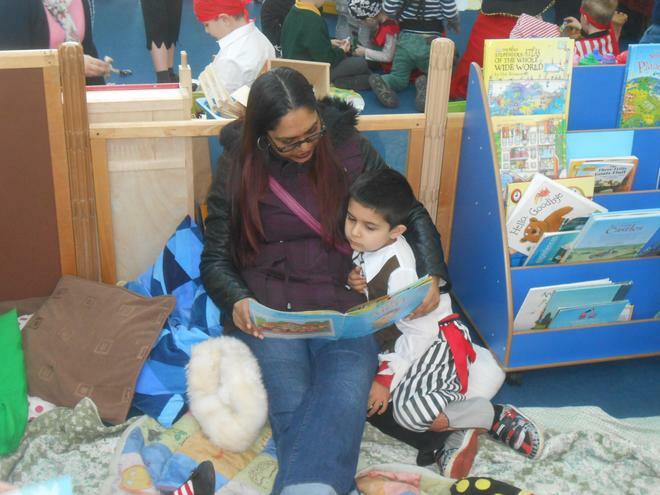 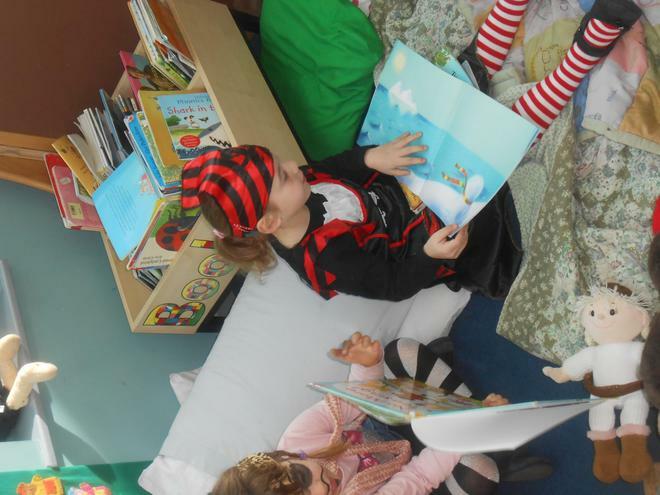 This year's book week has been so exciting for Foundation. 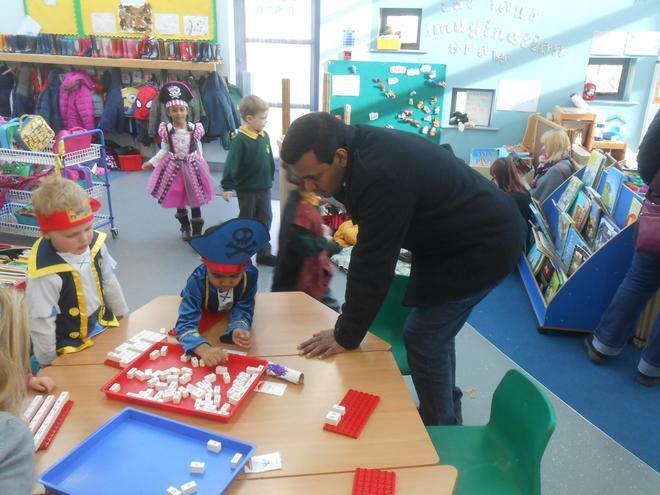 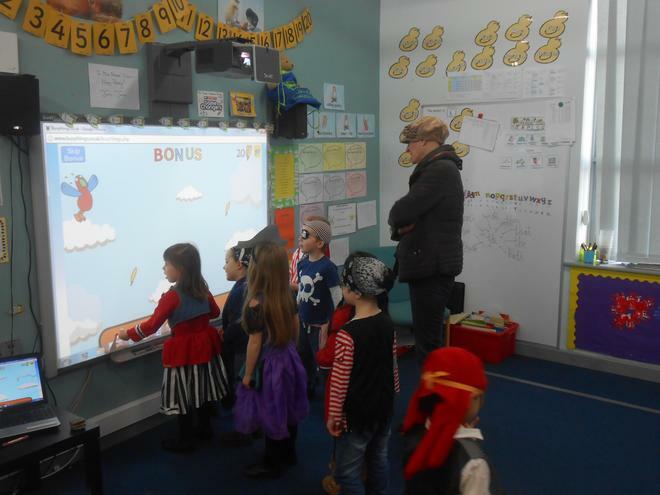 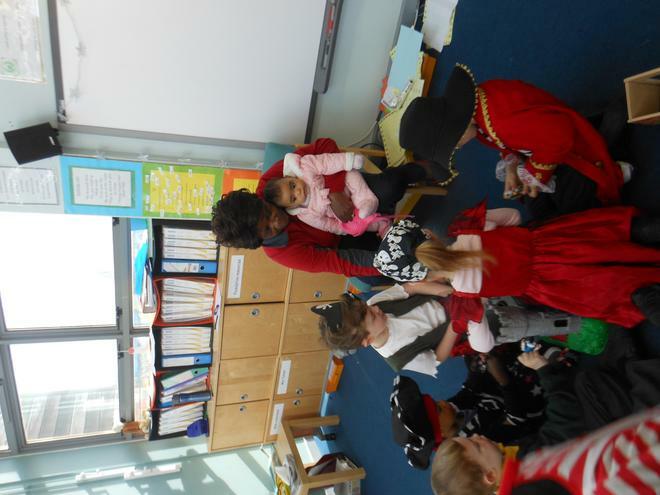 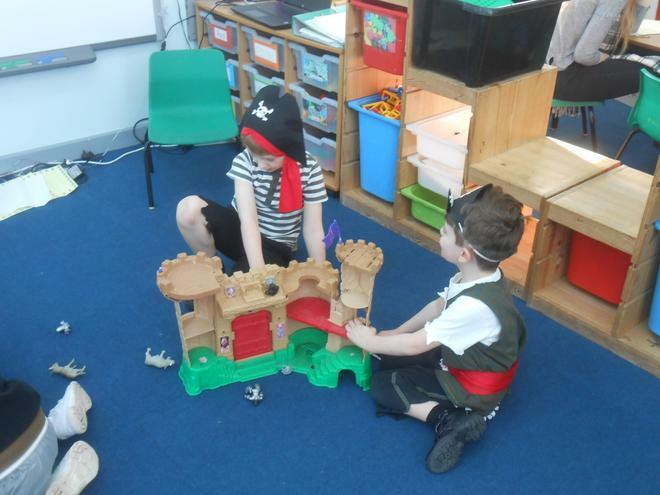 We have centred our learning around Pirates and the children have come up with some super learning. 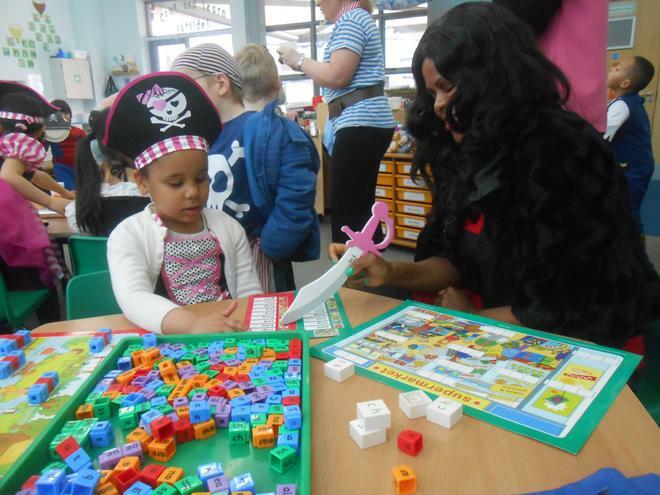 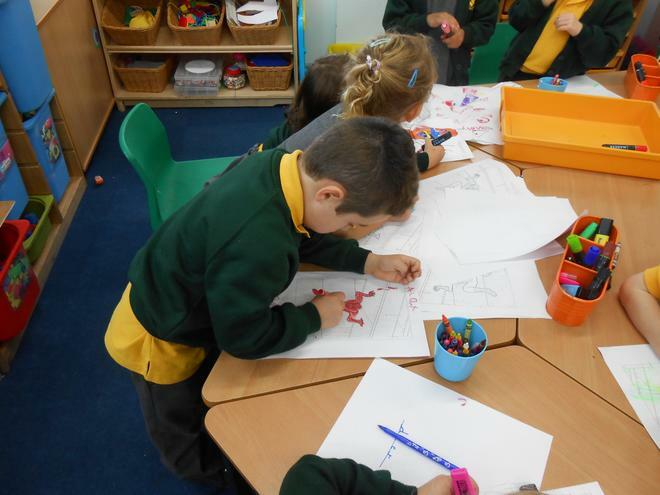 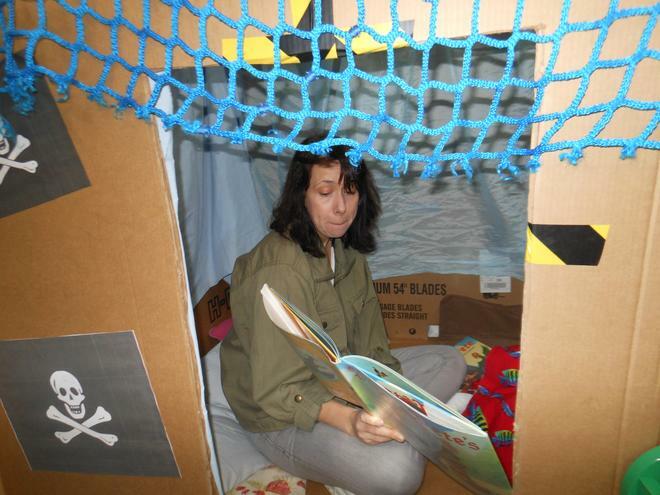 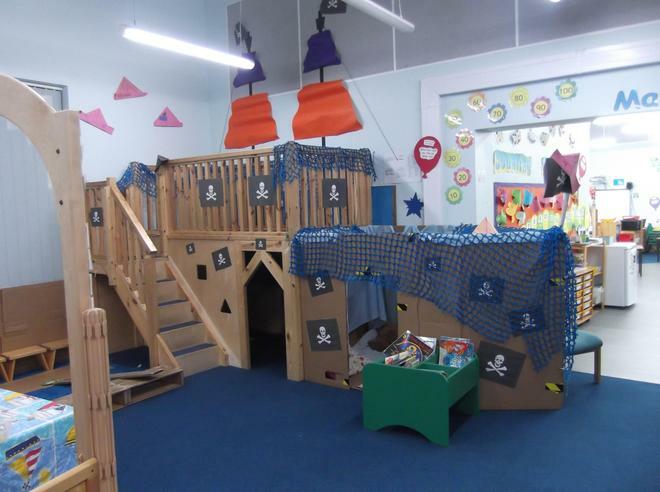 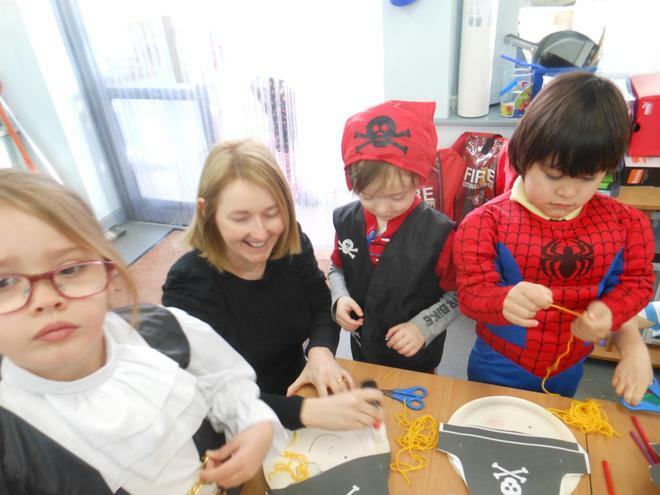 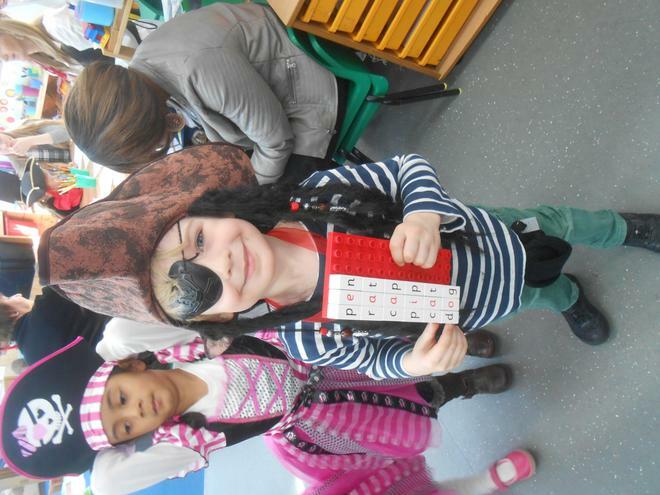 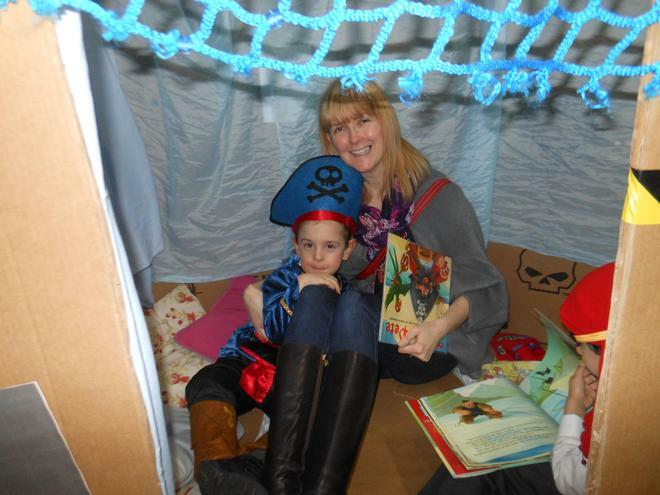 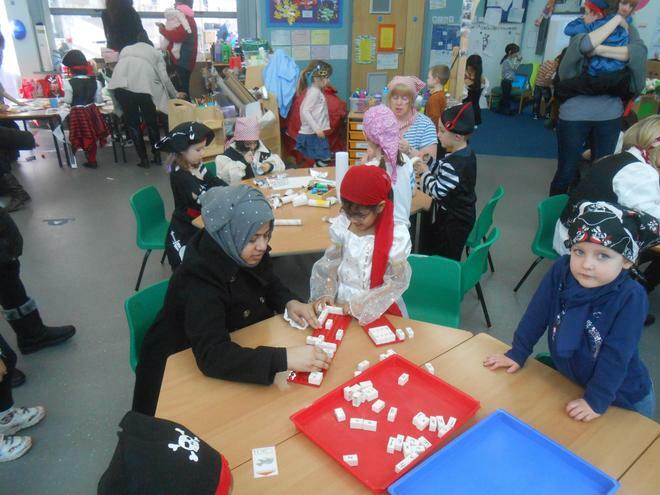 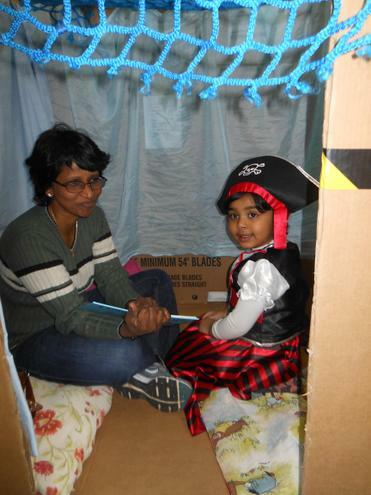 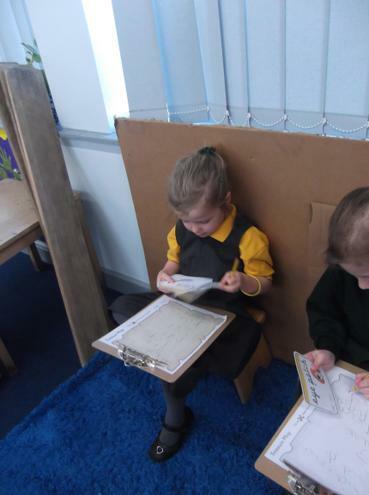 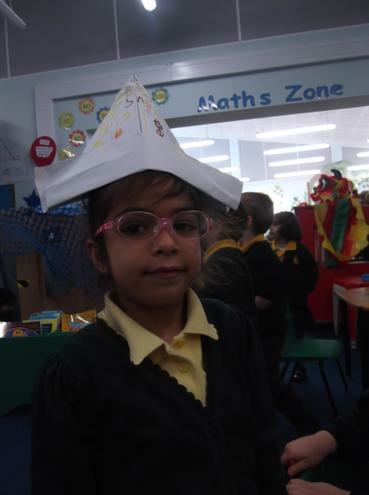 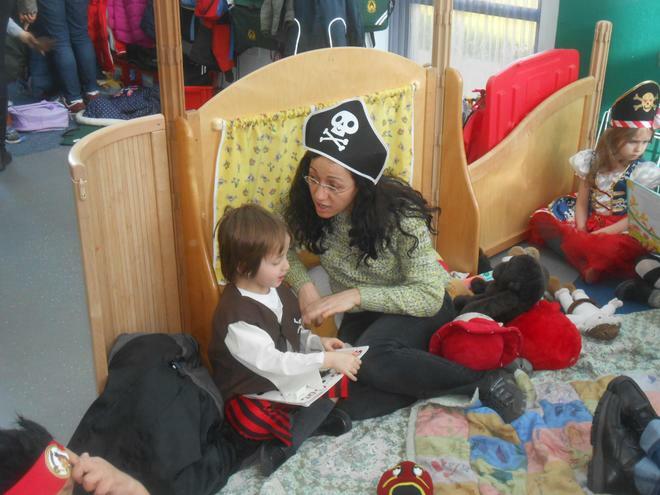 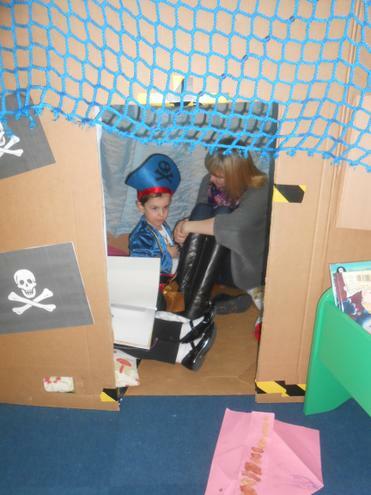 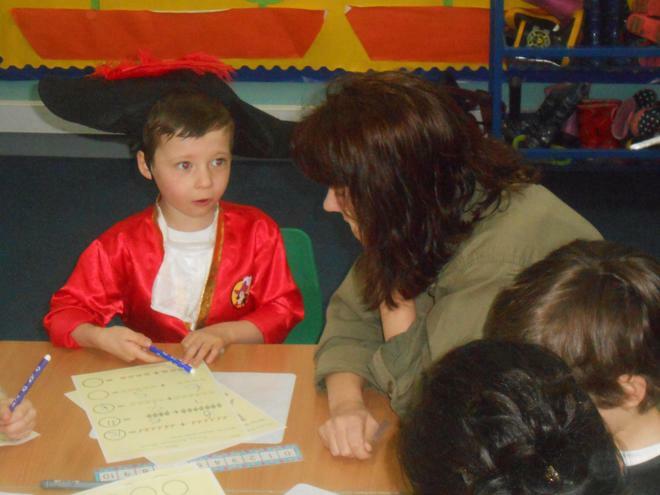 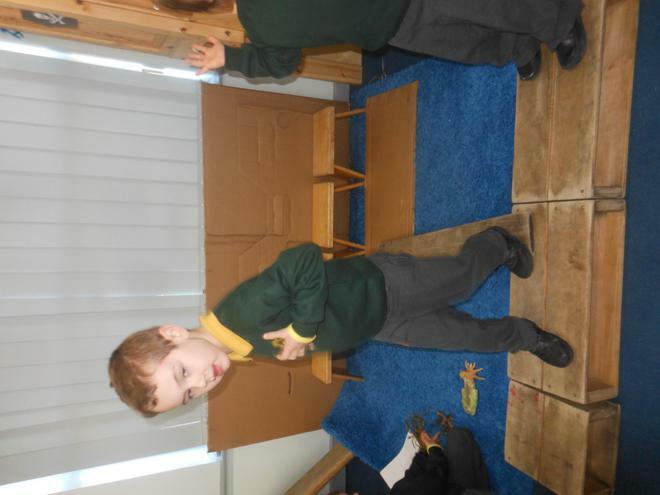 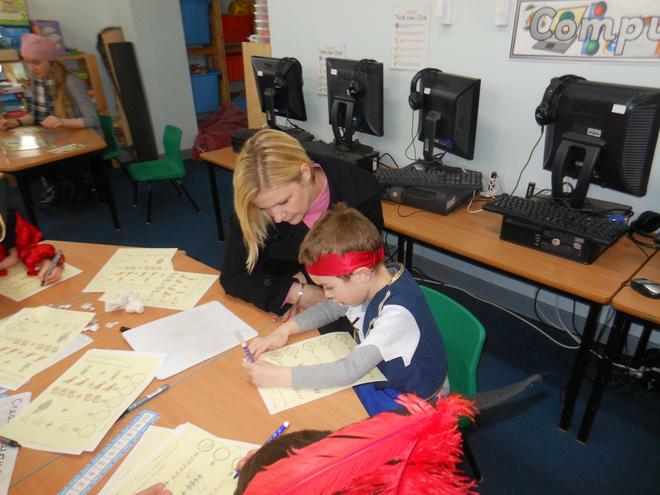 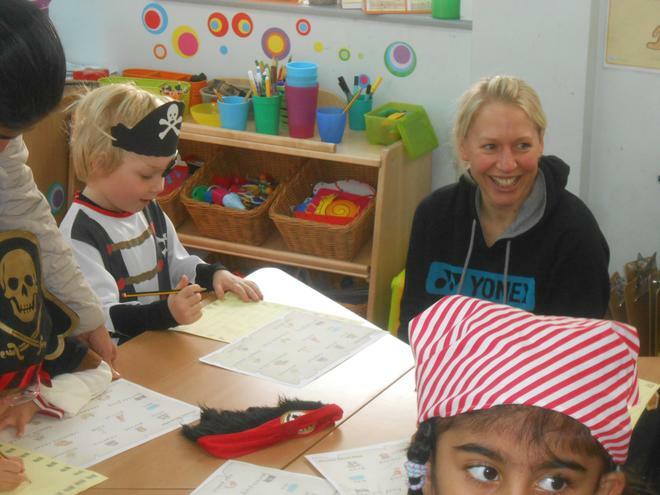 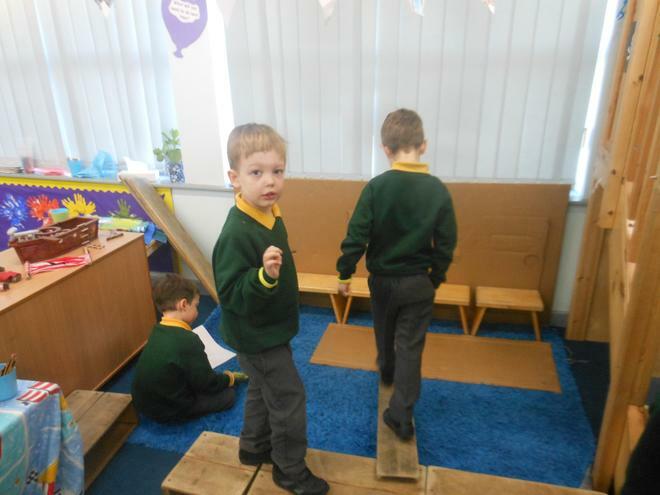 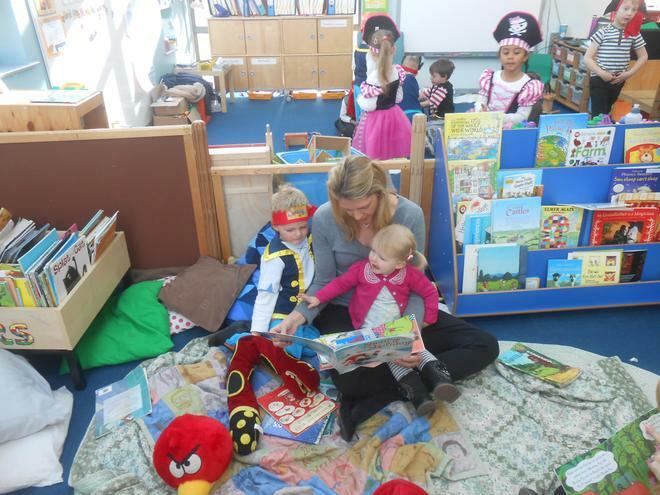 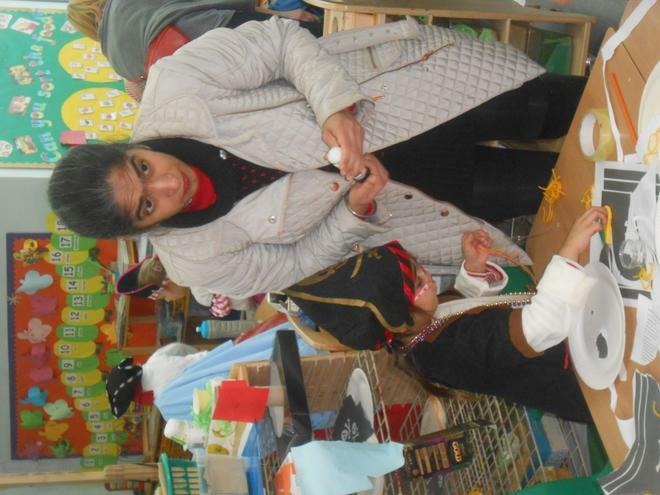 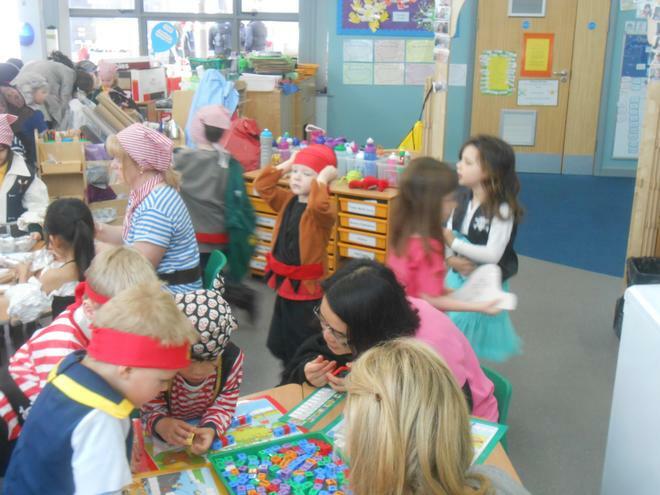 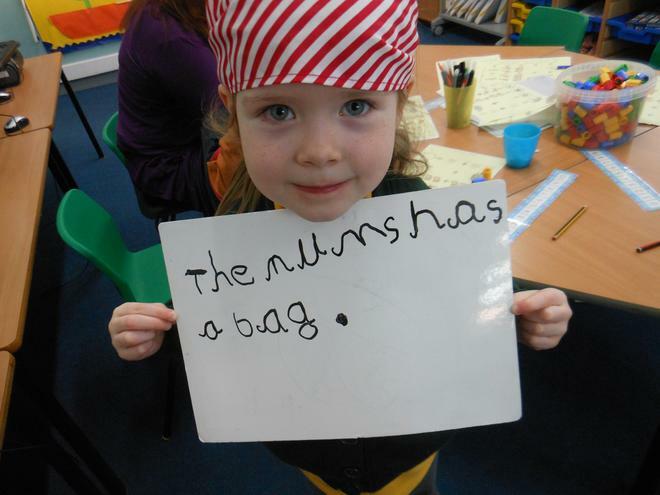 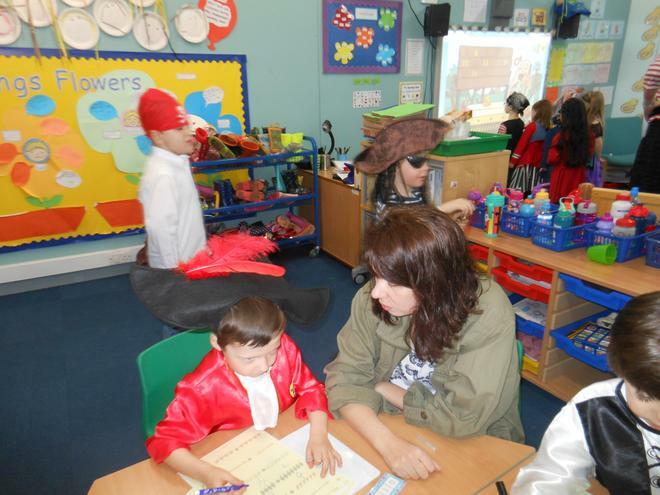 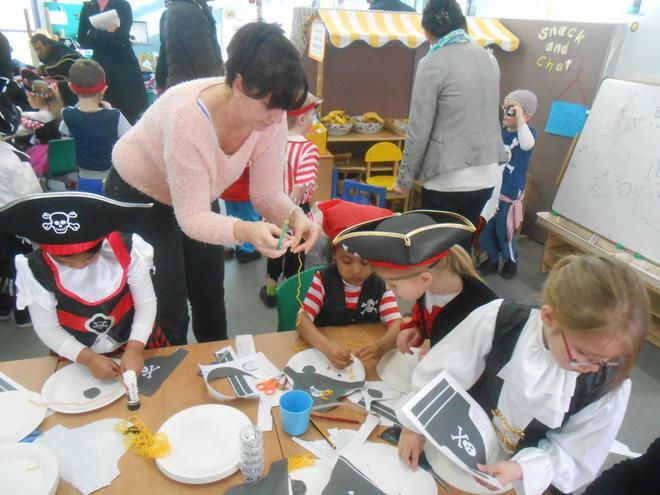 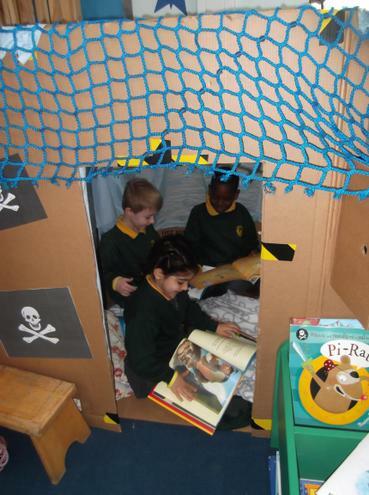 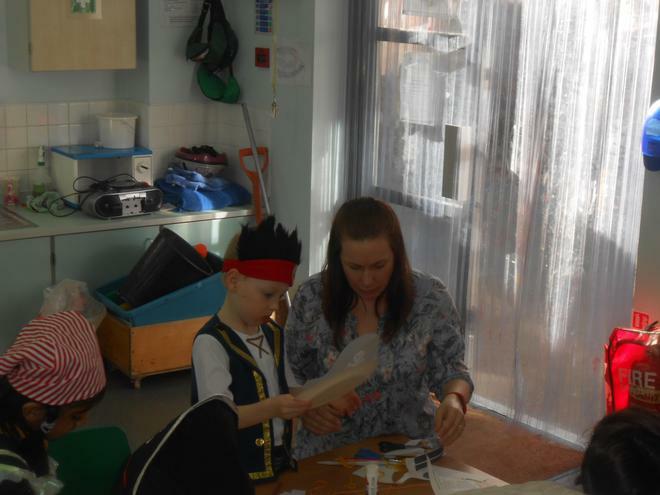 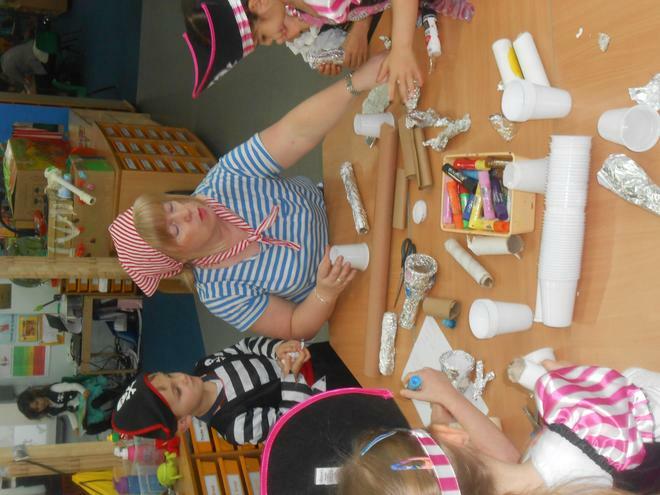 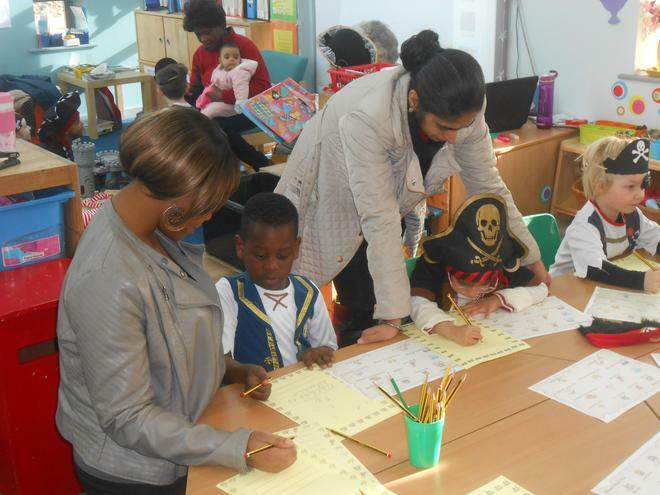 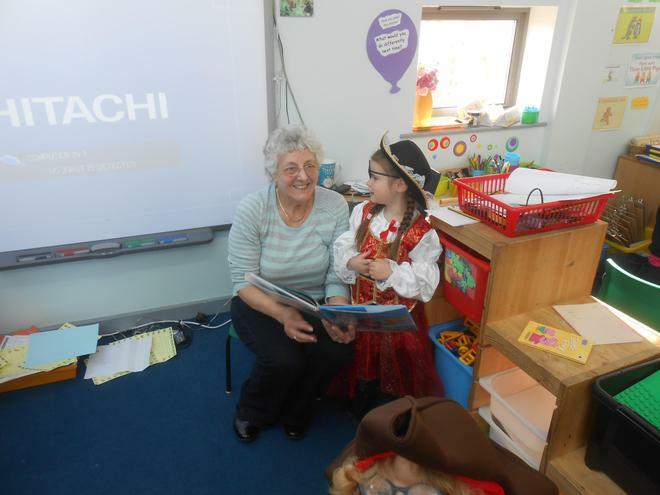 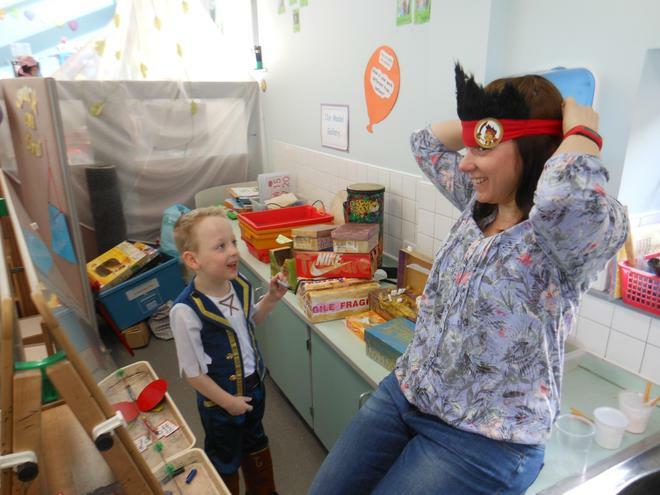 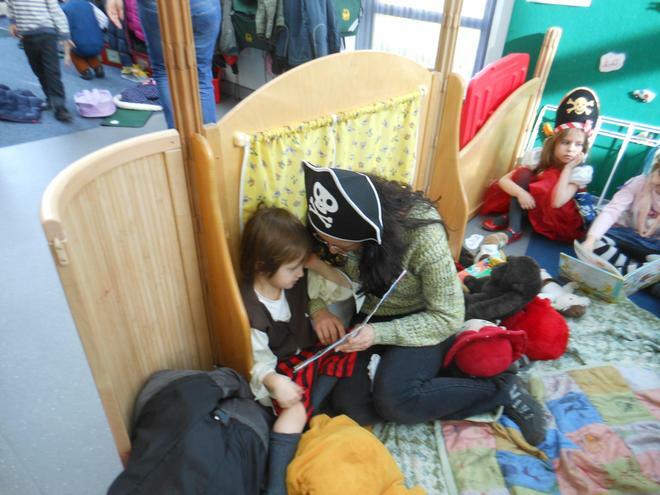 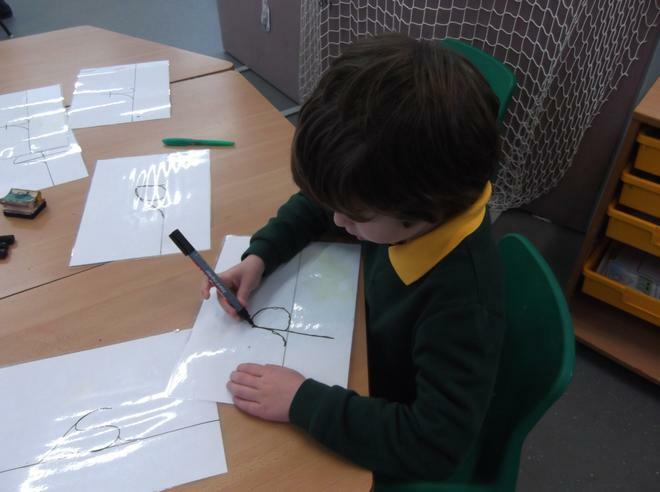 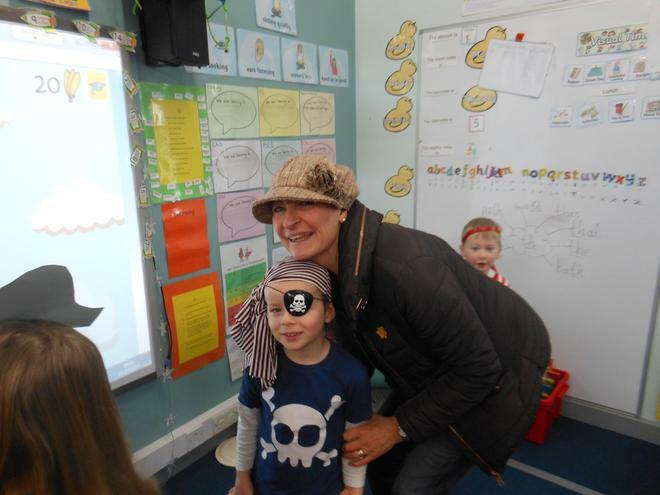 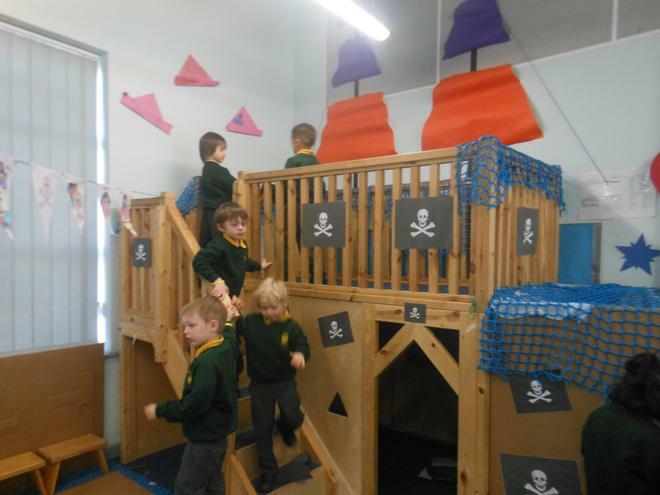 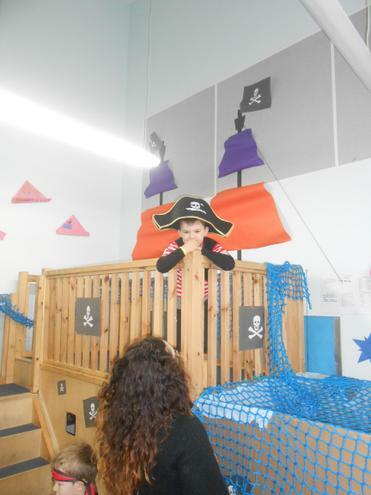 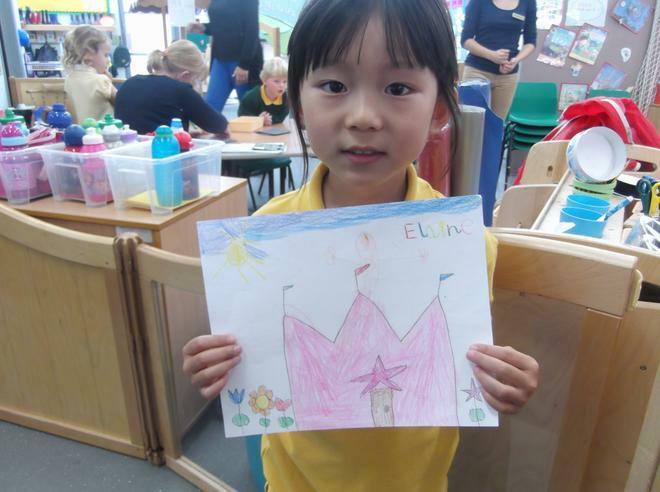 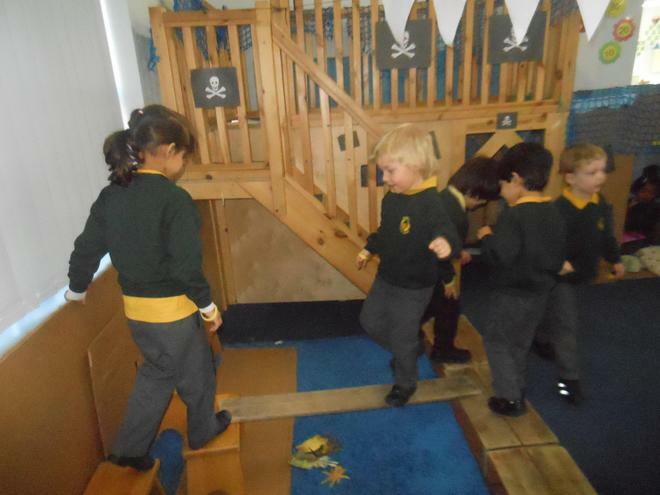 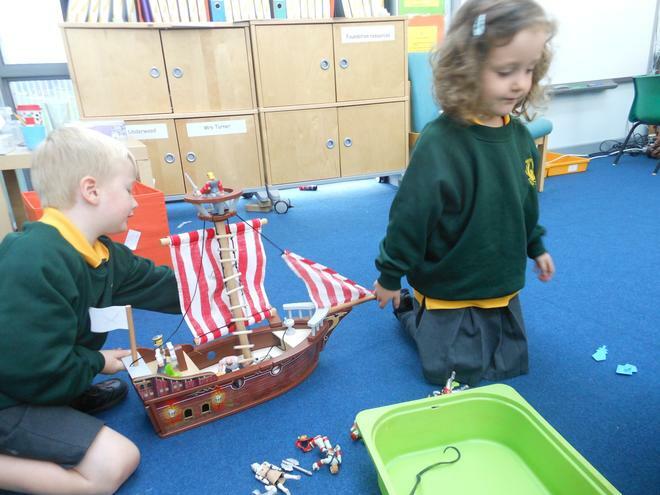 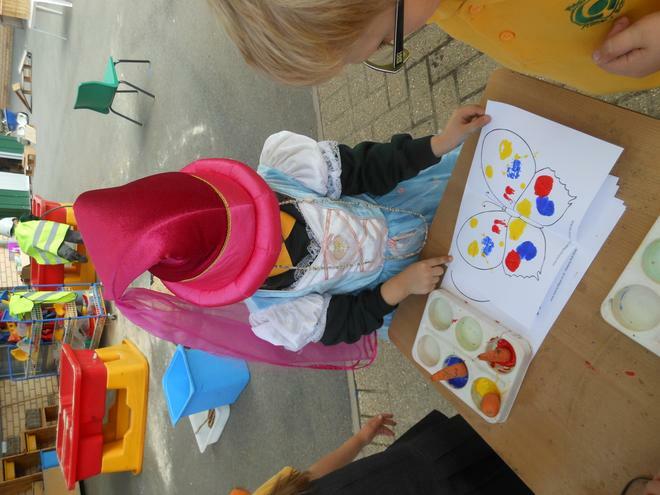 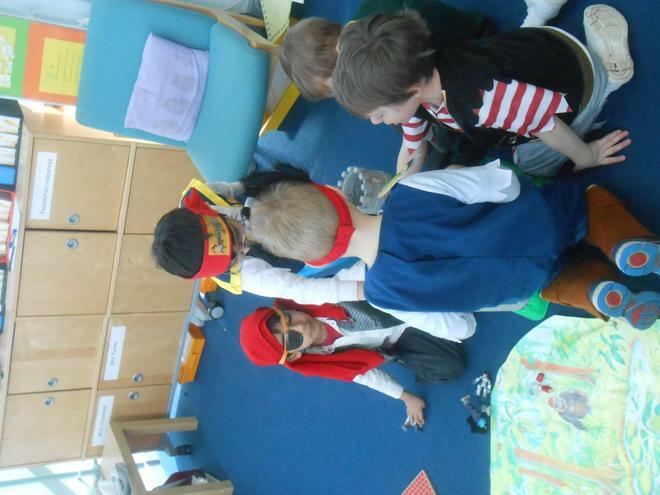 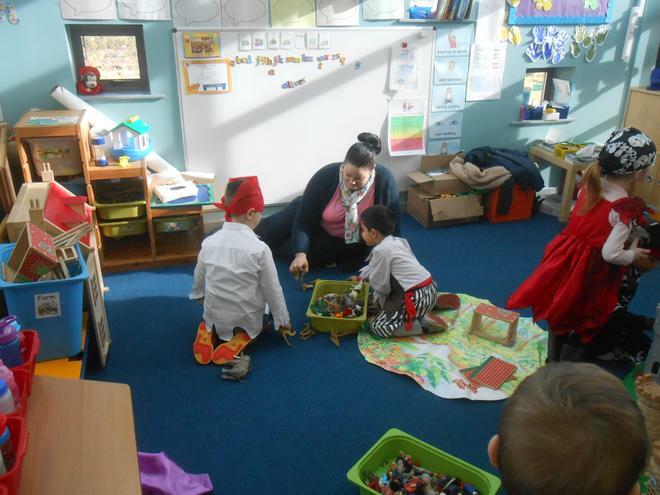 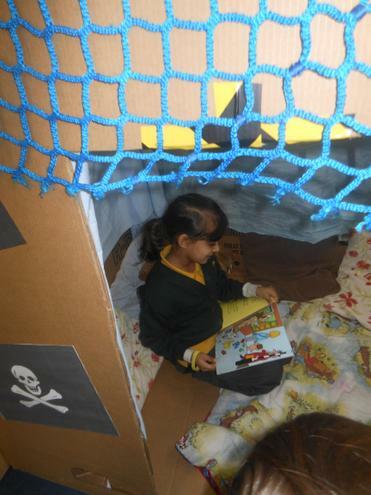 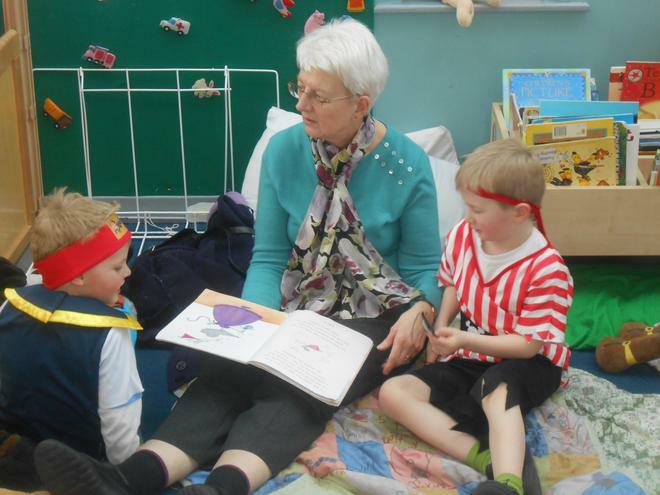 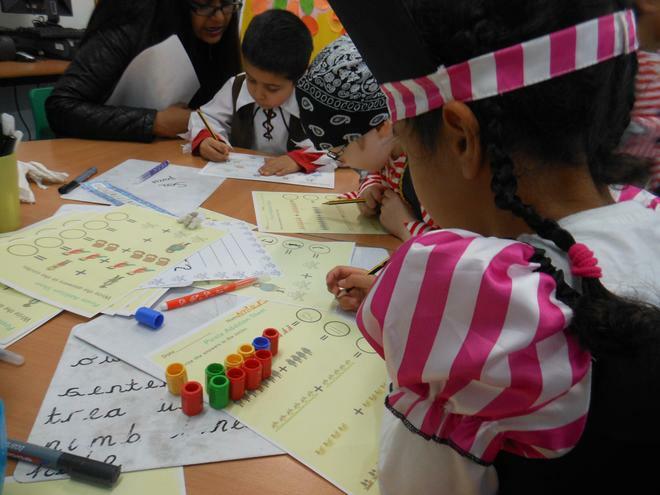 They have created treasure maps, made some treasure with tricky words on them, role played in fantastic pirate ship, used treasure to add and subtract, listened to an Author Julia Jarman read her fantastic books and dressed up to be real pirates! 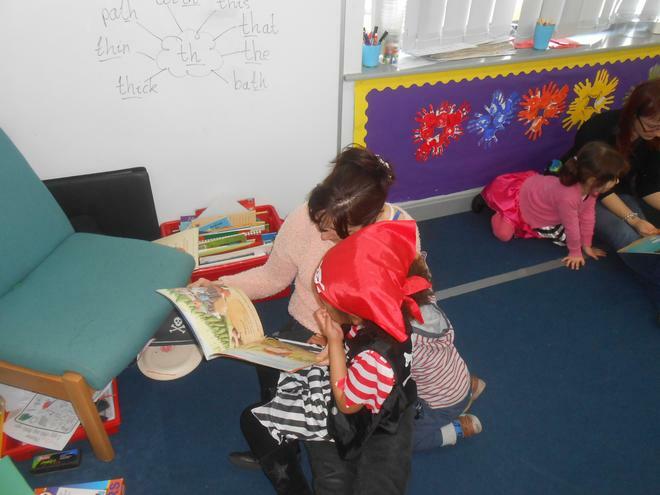 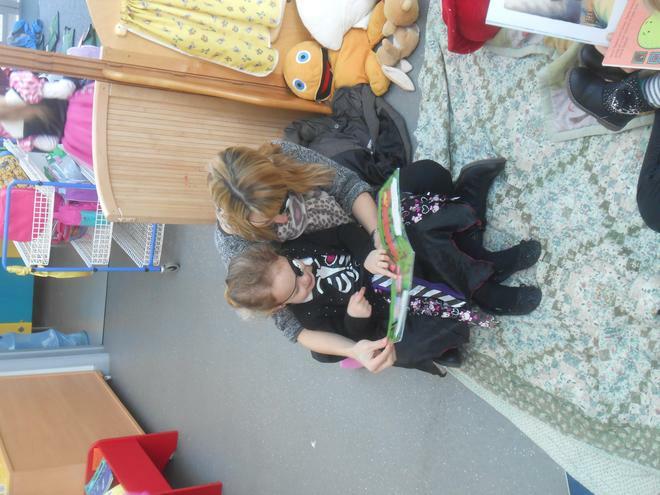 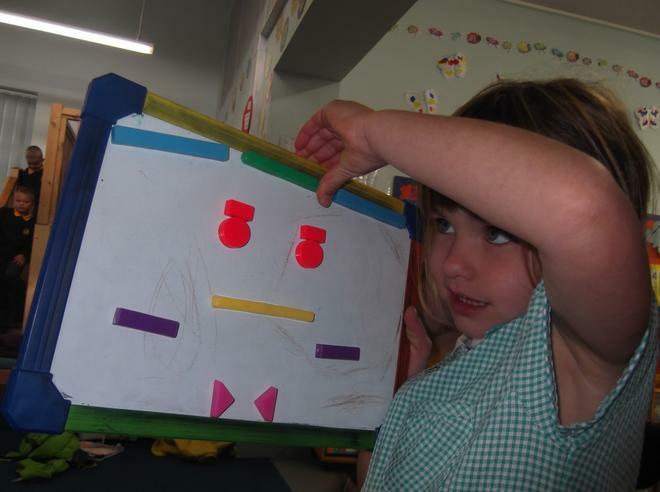 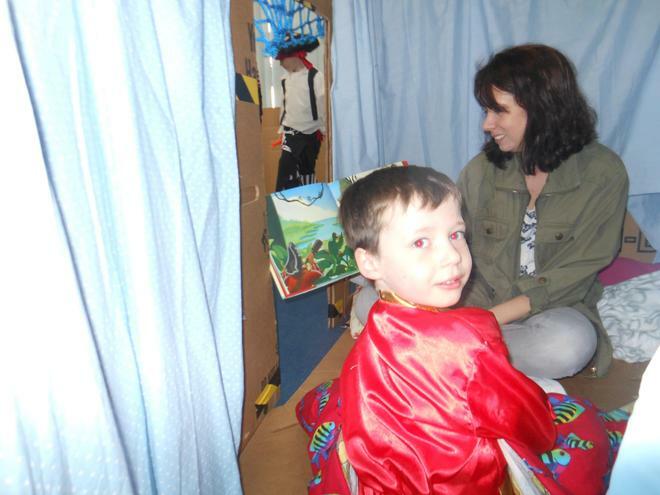 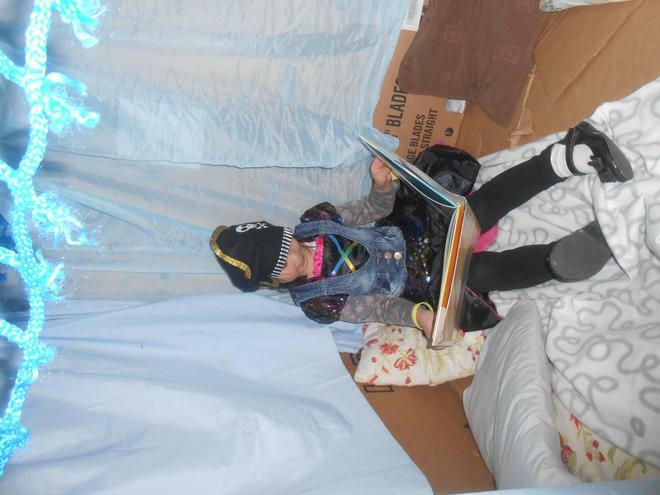 Book Week - just some of the things we have been doing during Book Week! 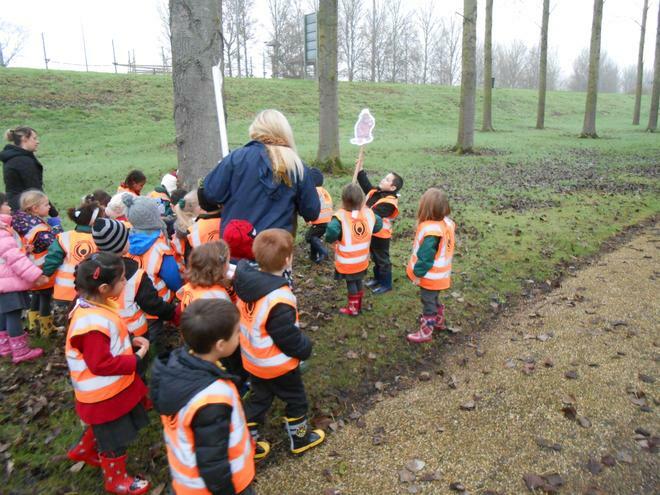 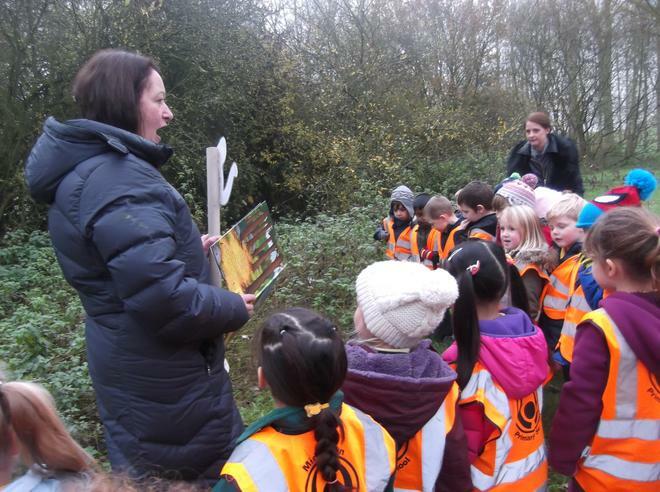 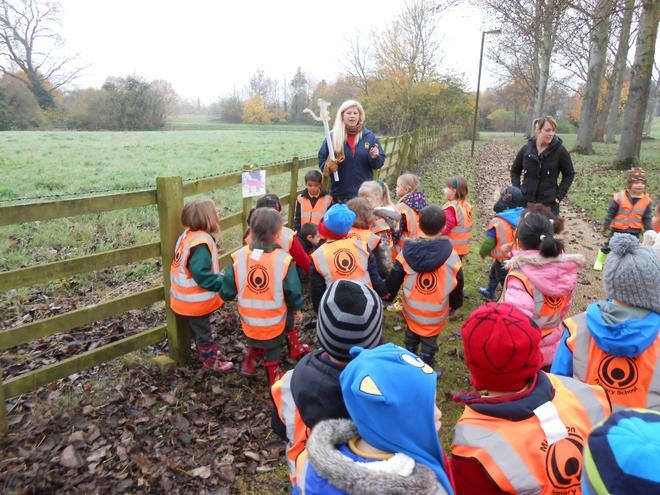 The children have gone on a walk through the deep dark woods to see who they could spot from The Gruffalo. 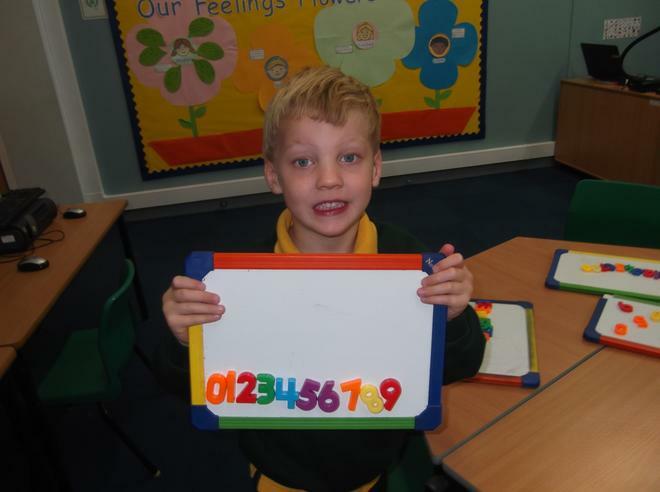 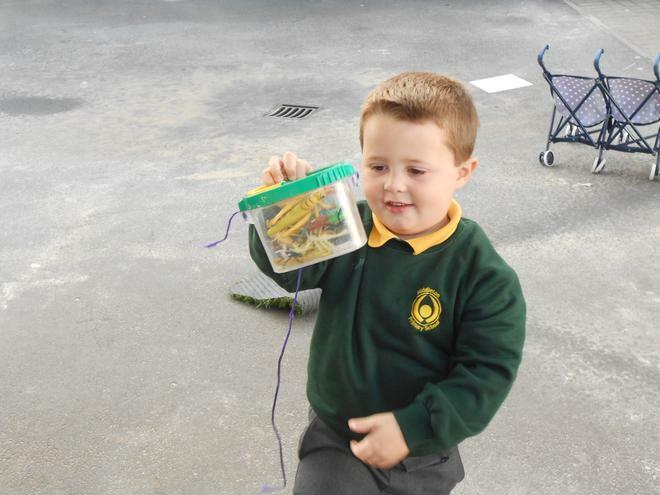 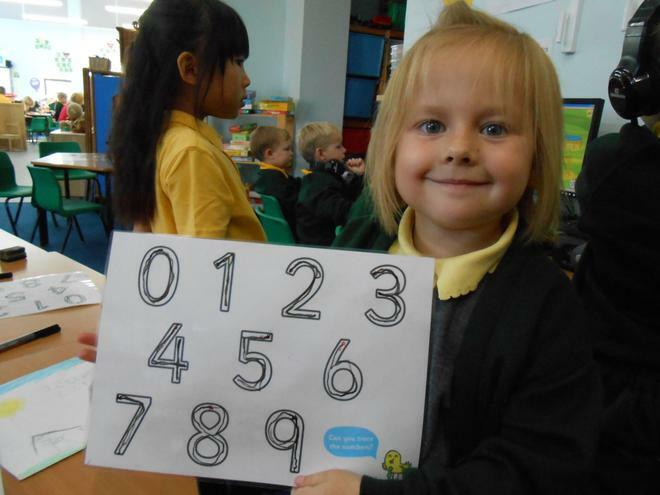 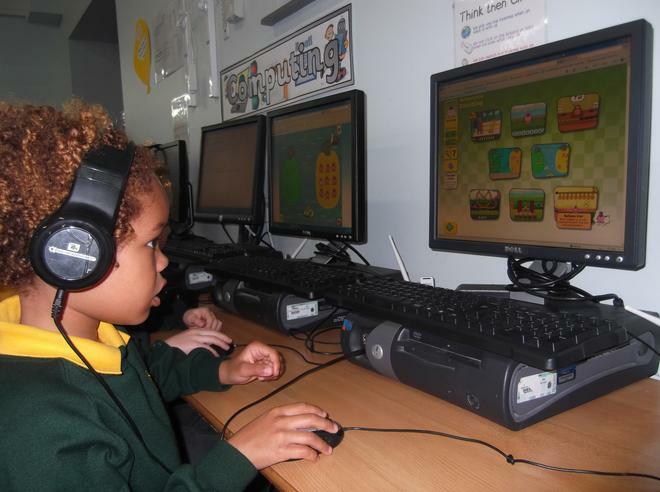 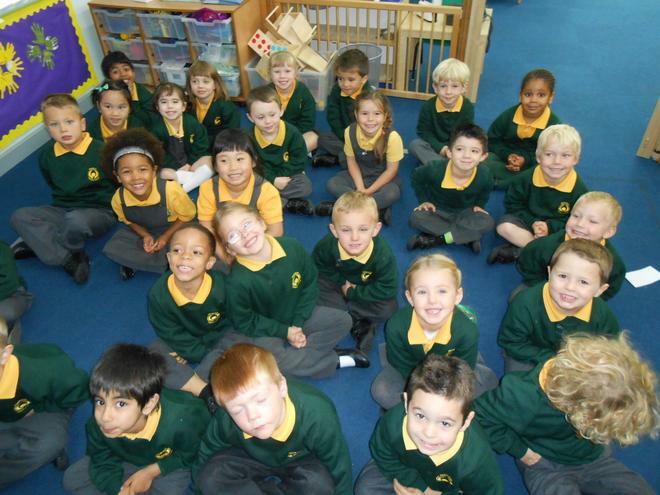 Foundation have had a fantastic first half term in school. 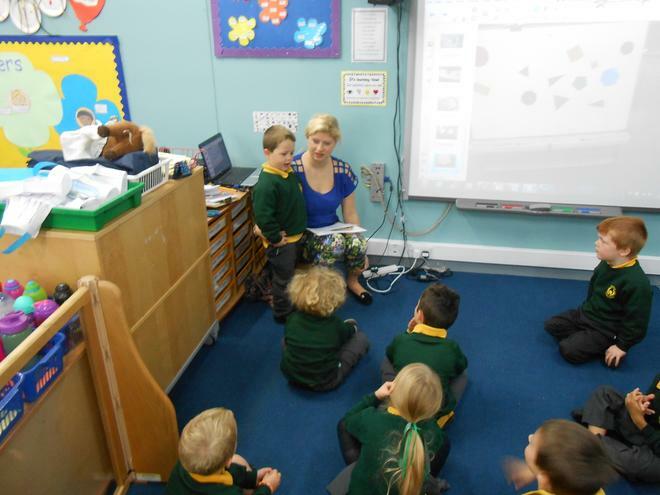 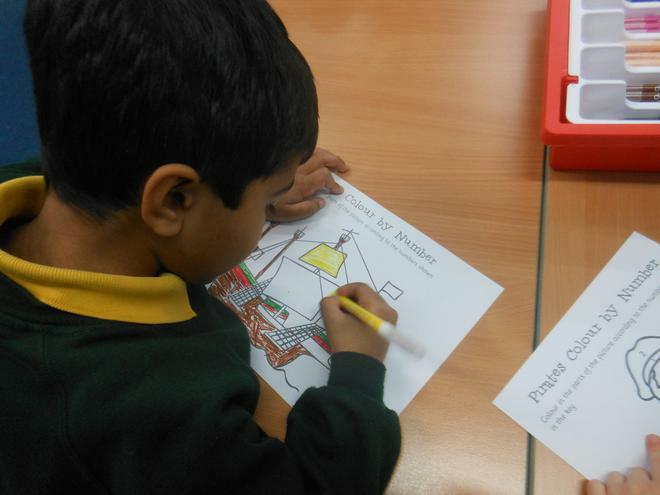 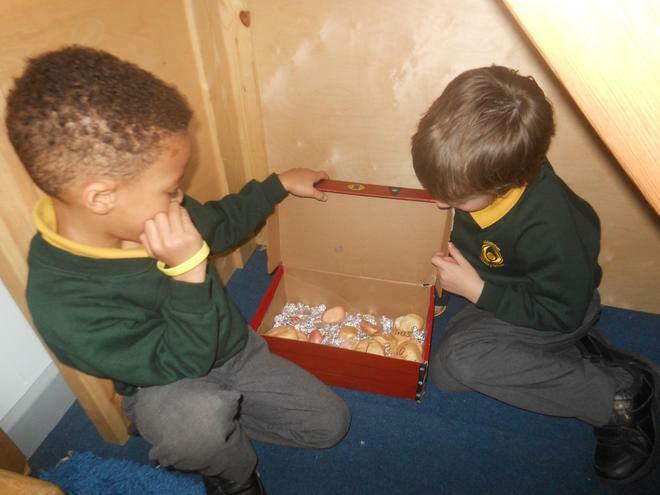 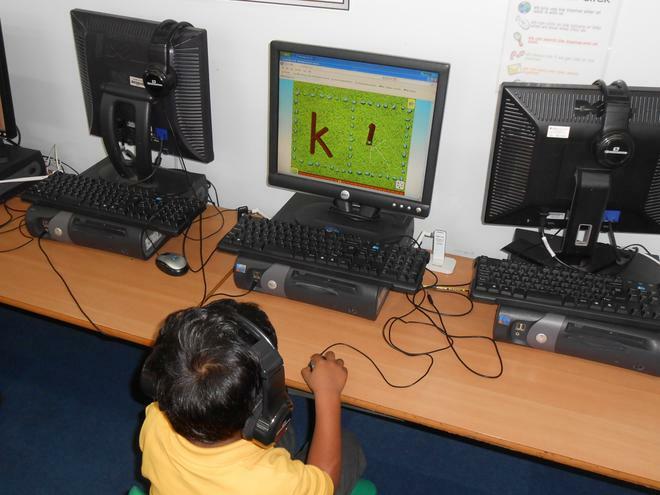 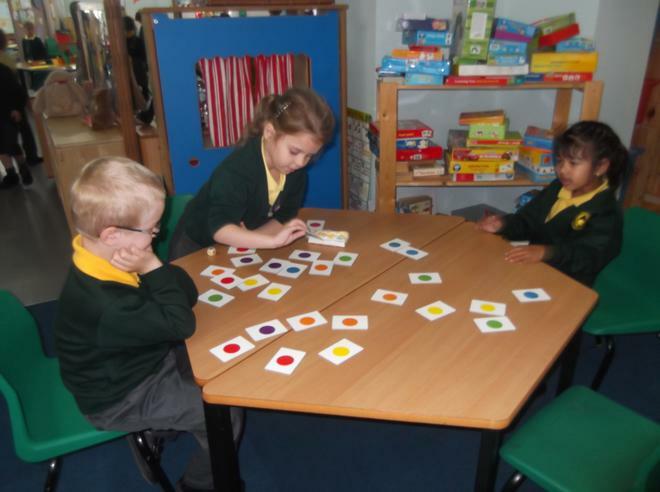 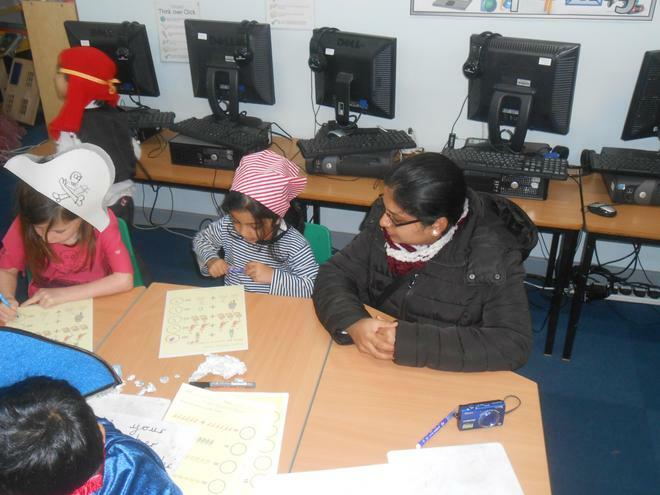 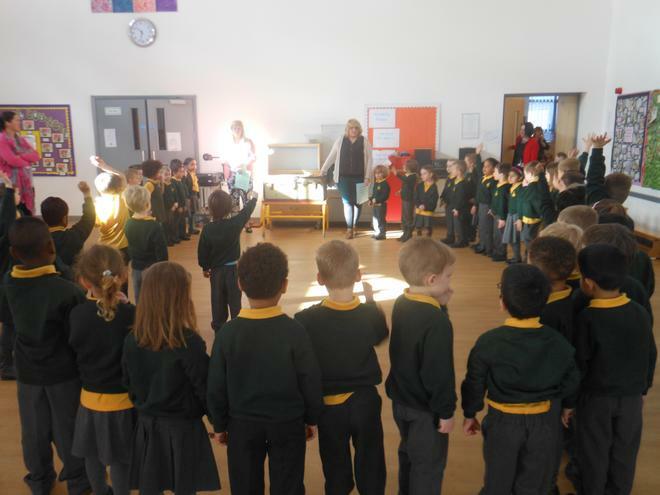 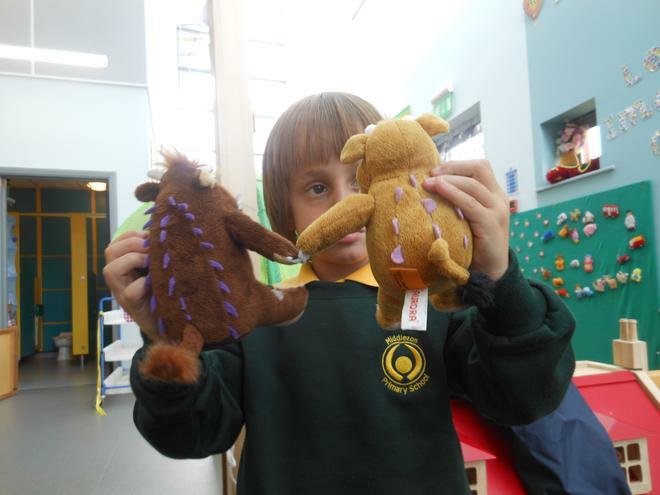 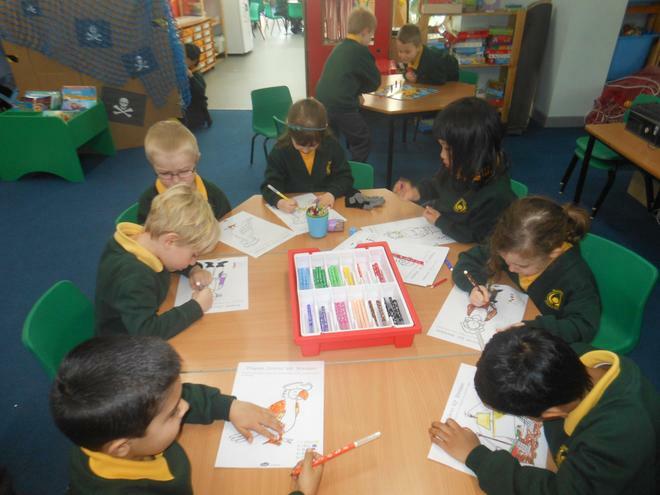 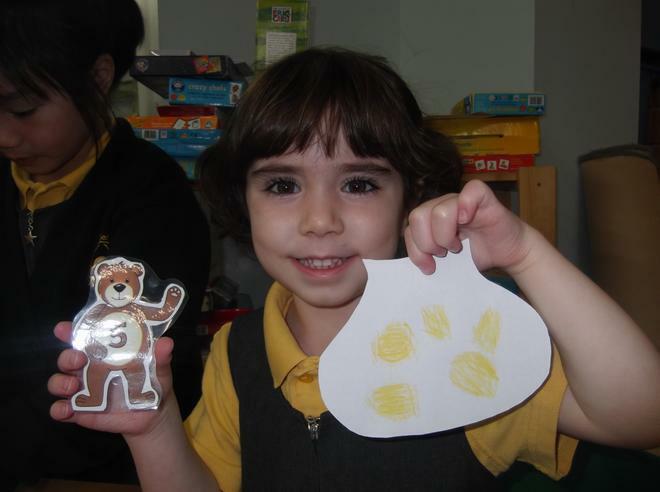 We have settled into school well and learnt all about autumn, Goldilocks and the Three Bears and Dewali.